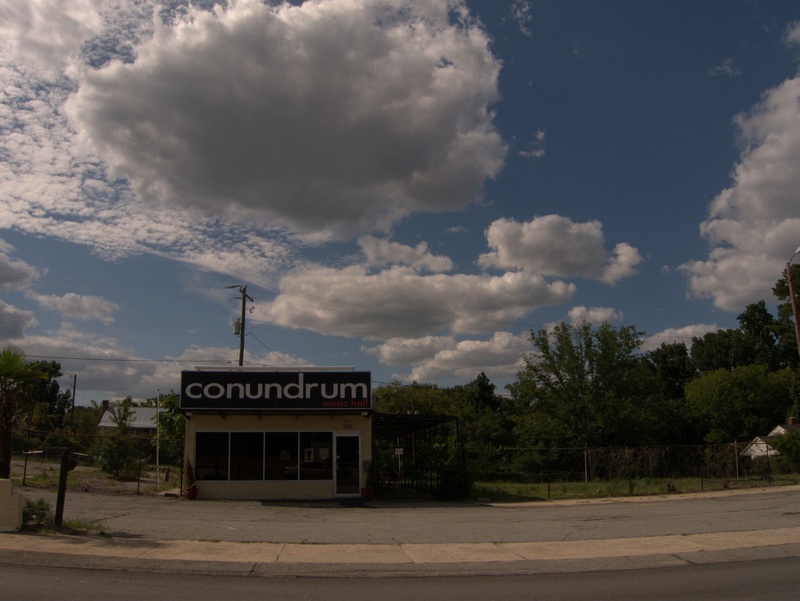 I noticed this little dojo on Meeting Street back in October when I was checkout out Conumdrum. 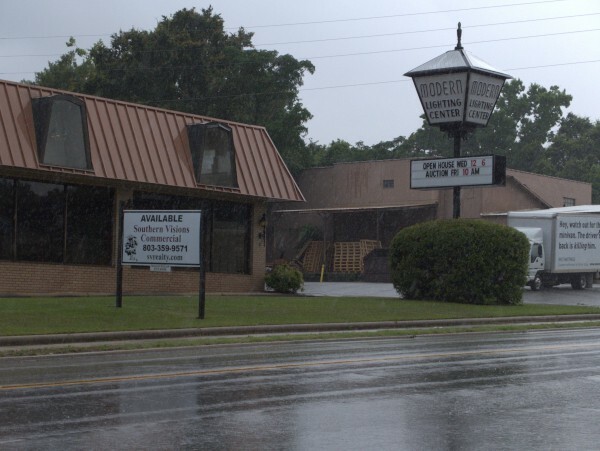 It looks like maybe the name changed to simply Columbia School of Karate for a while, but the last phonebook listing is in the 2013 book. 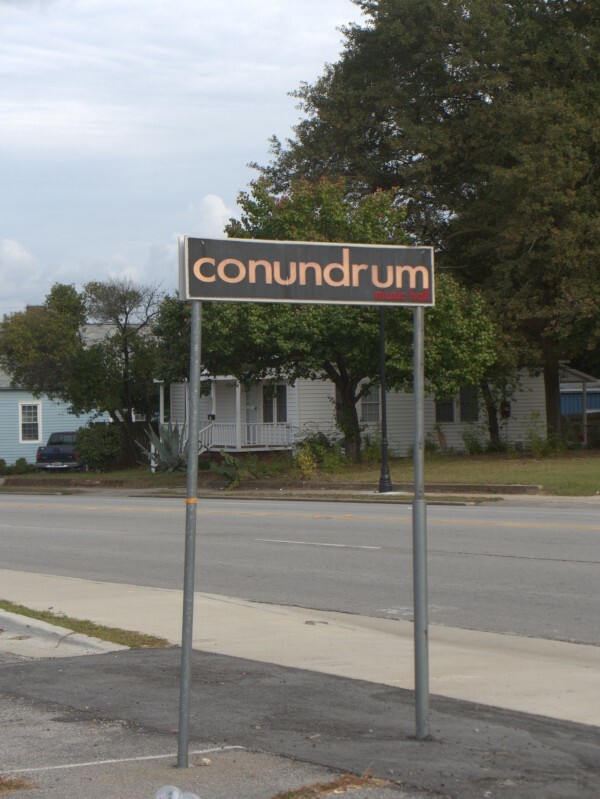 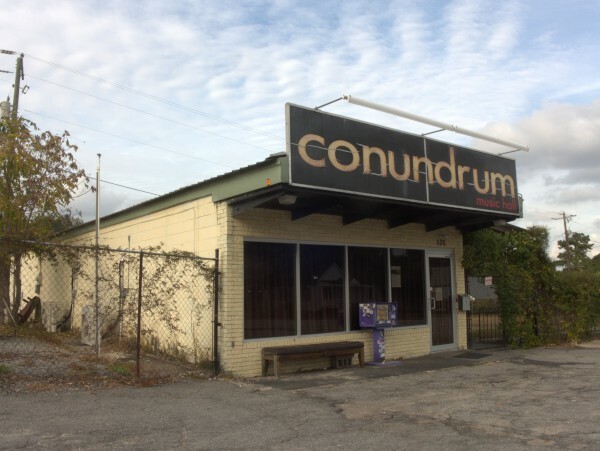 Conumdrum opened in the space formerly occupied by Bloomin' Idiots garden center, and based on the name, I reported it as a drumming studio when I did the closing for that business. 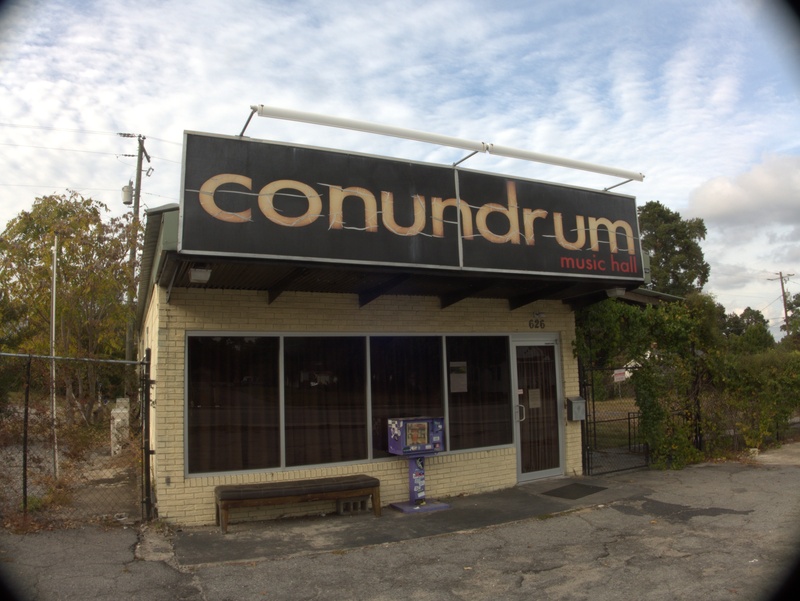 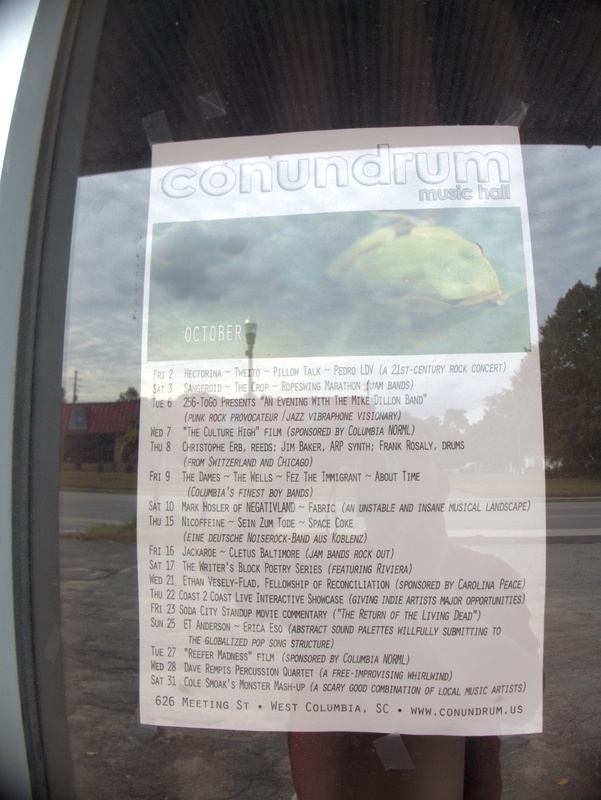 In reality, though I never got to check it out personally, it seems to have been a nice little eclectic music venue, and a five year run is not bad for a site neither in The Vista nor Five Points. s been a number of things over the years. ntil sadly the owner passed away and they had to close. 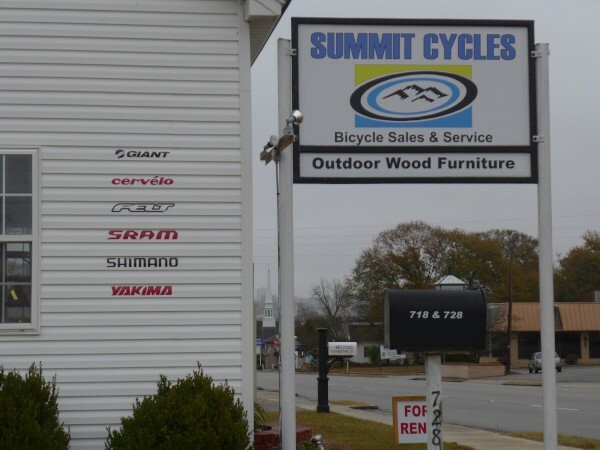 Bicycle shop Summit Cycles was in this nice old house near the top of the hill on Meeting Street, just down from WECO. 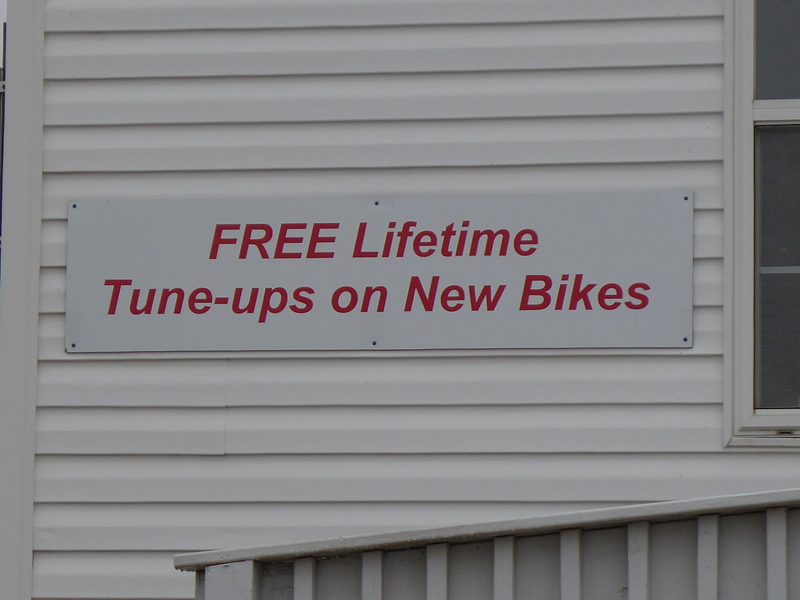 There's not much more I can say about it, other than if you got your bike there, I'll bet you could coast all the way to the State Museum, lights permitting.. 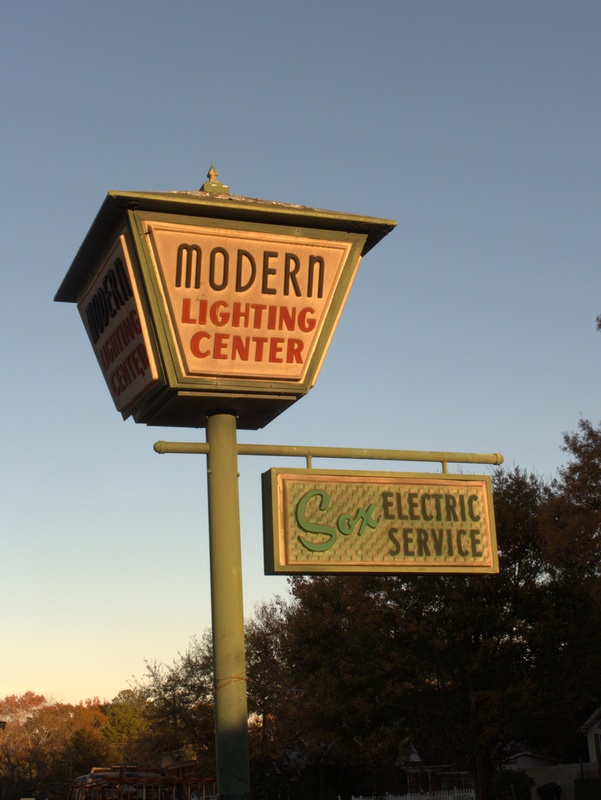 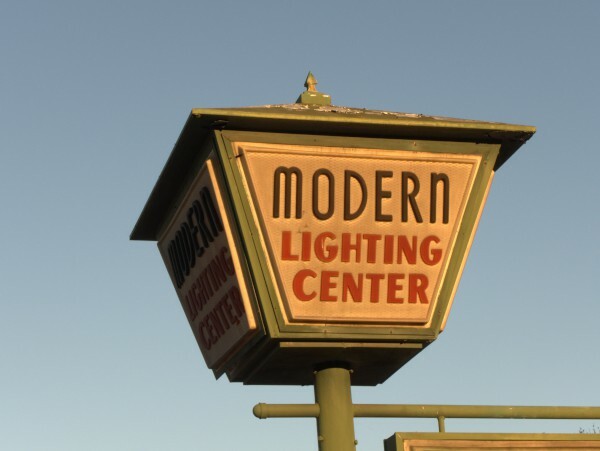 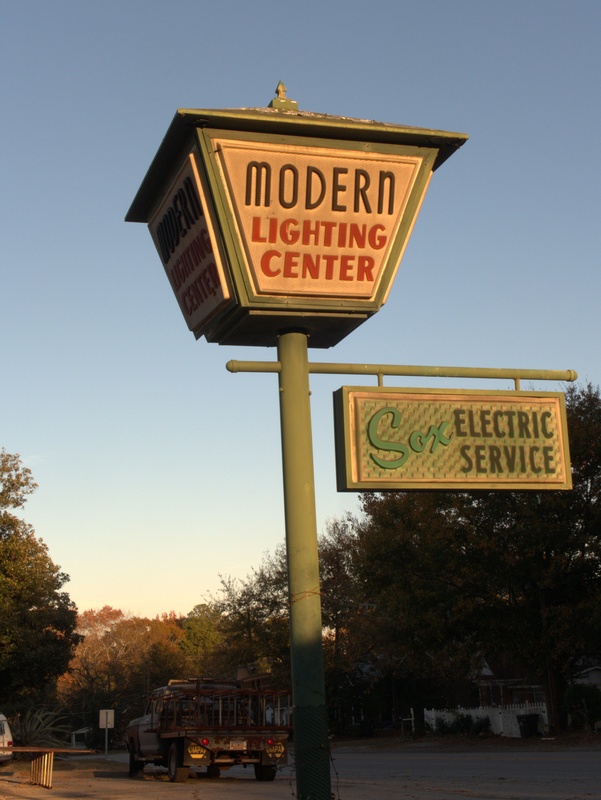 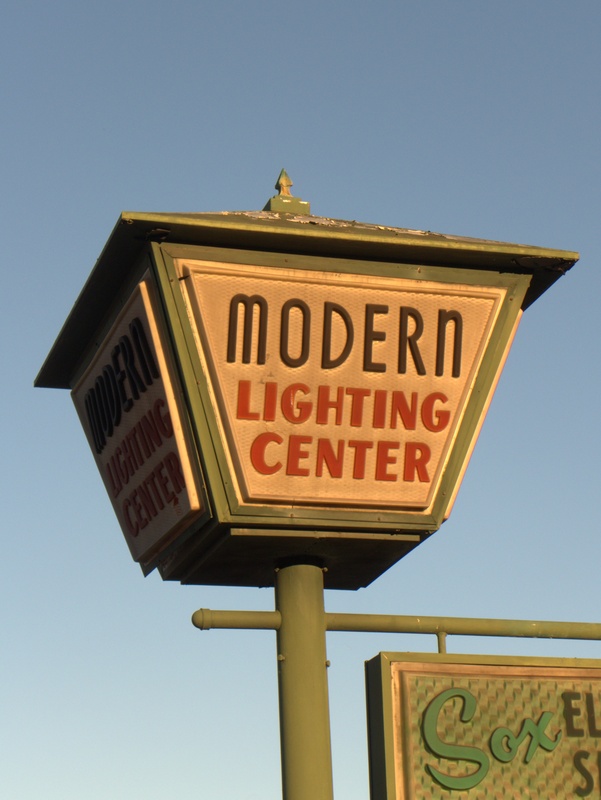 It was pouring down rain today when I noticed that Modern Lighting Center on Meeting Street was closed. I have always liked the big carraige light they had by the street (the link shows a nice picture of it). According to their sign, lights out was on 30 November of 2012. 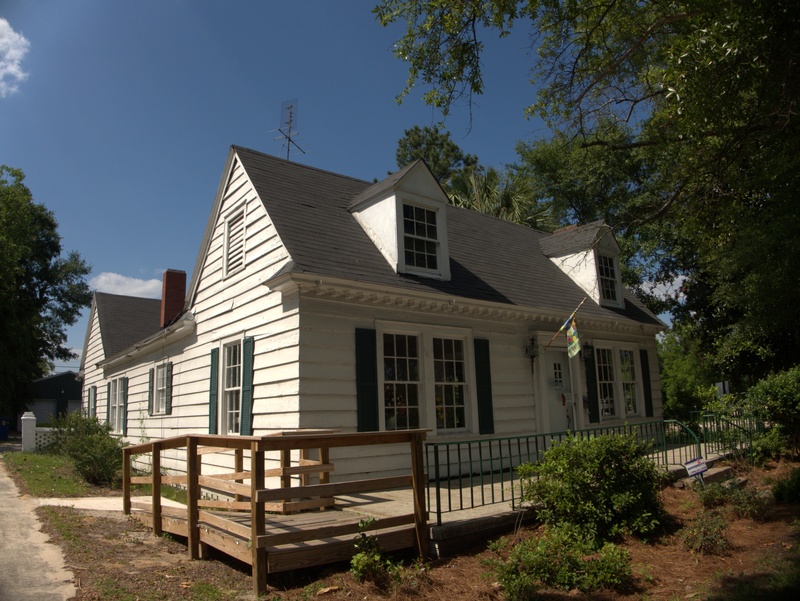 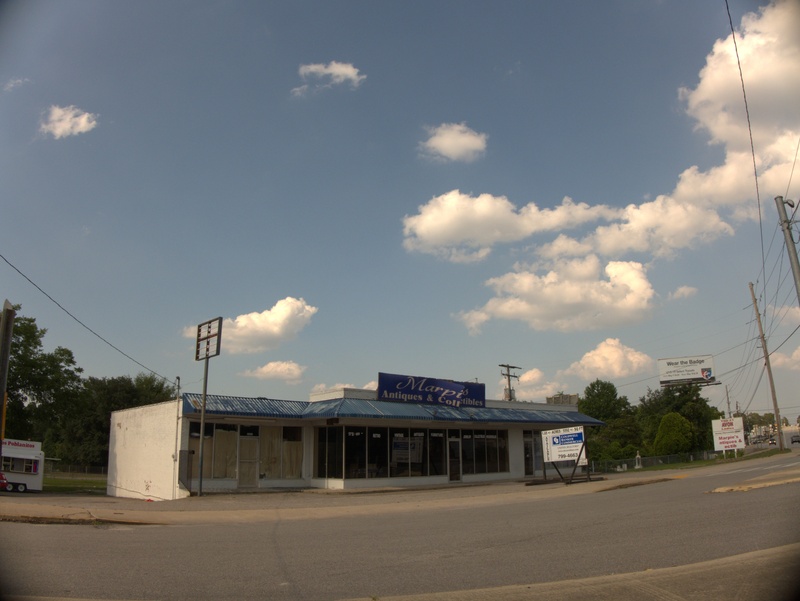 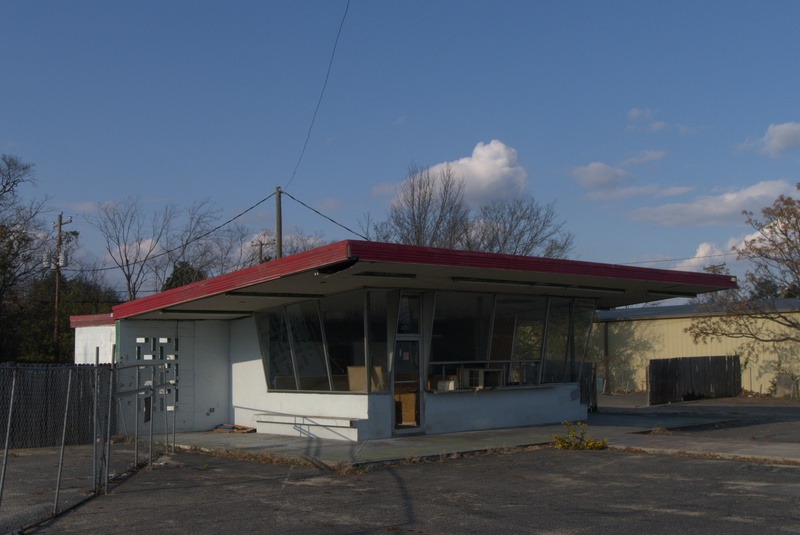 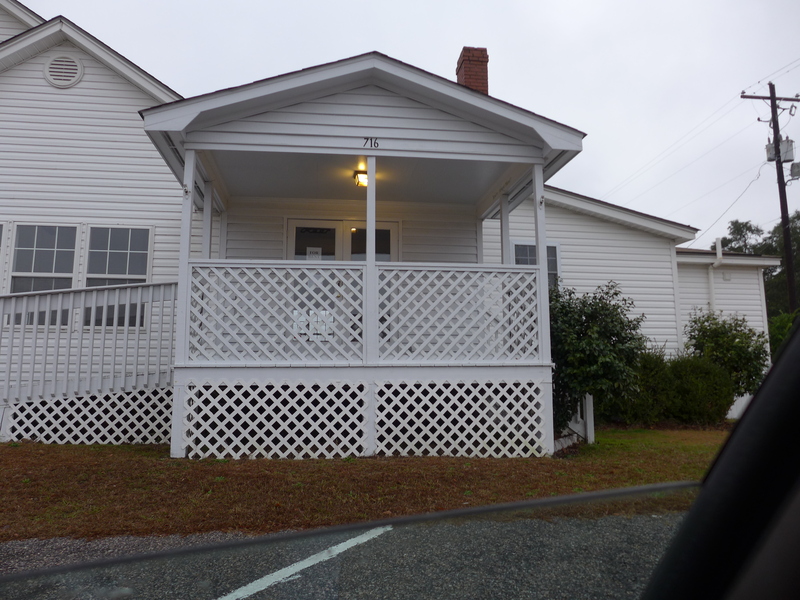 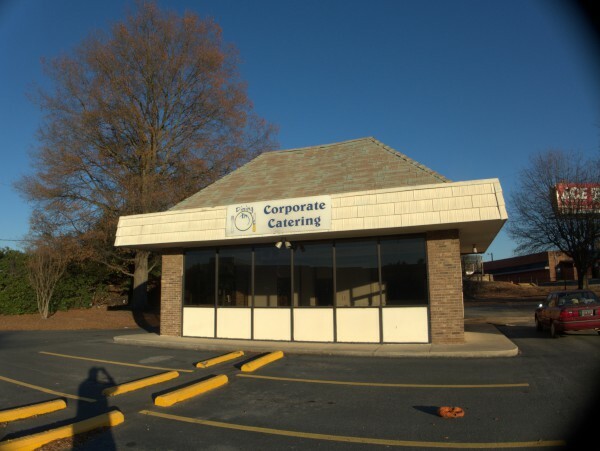 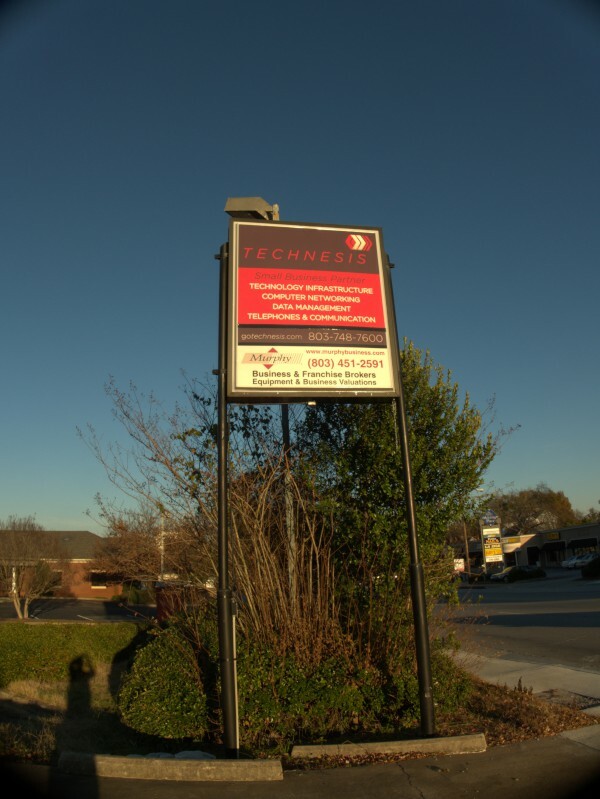 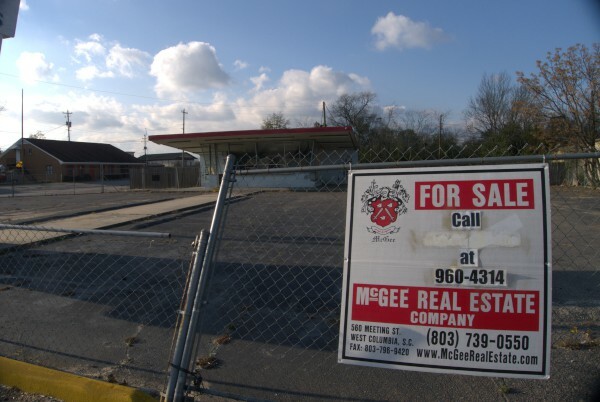 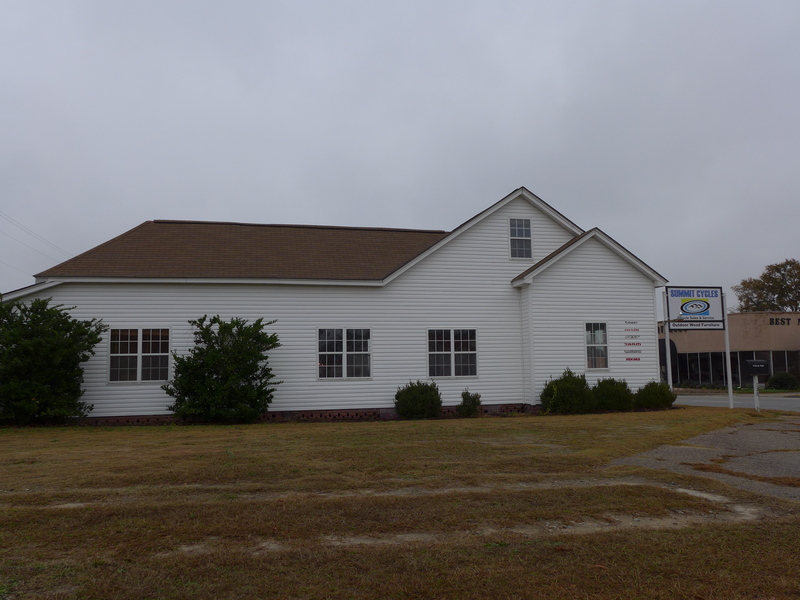 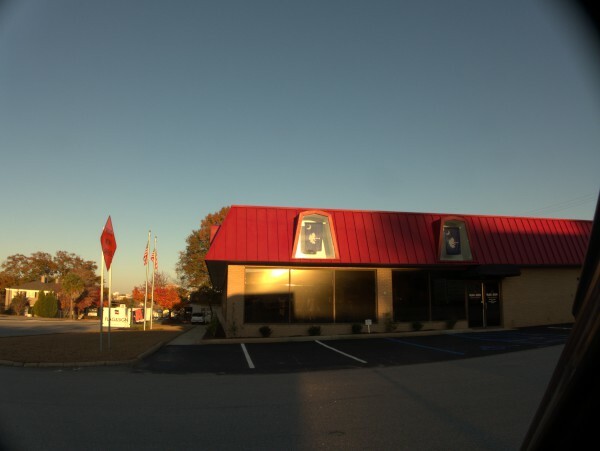 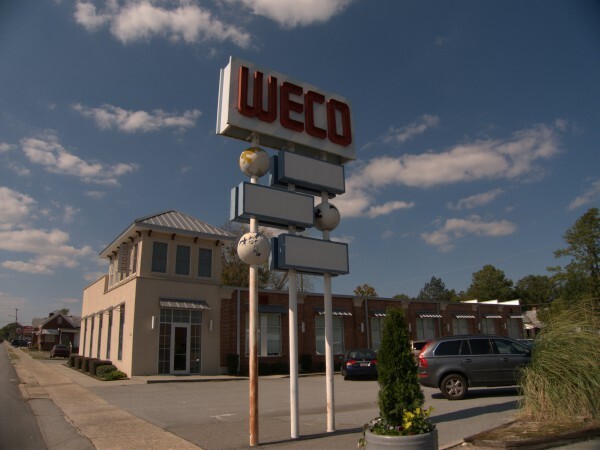 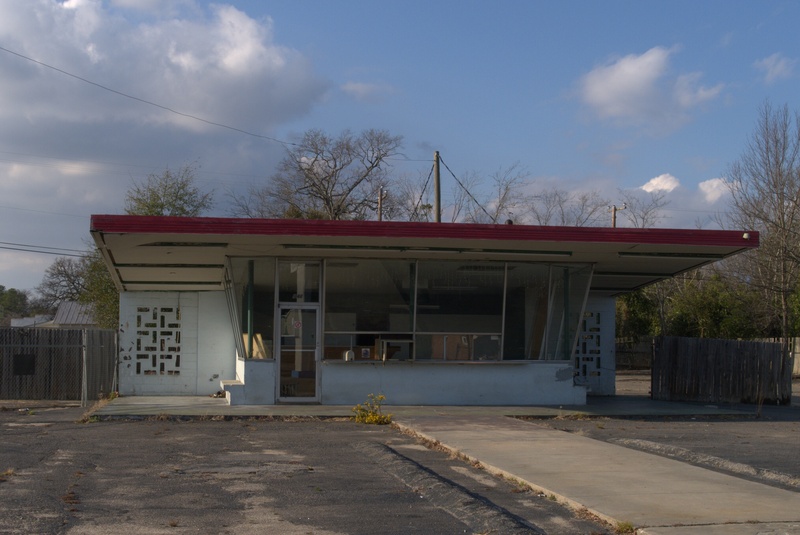 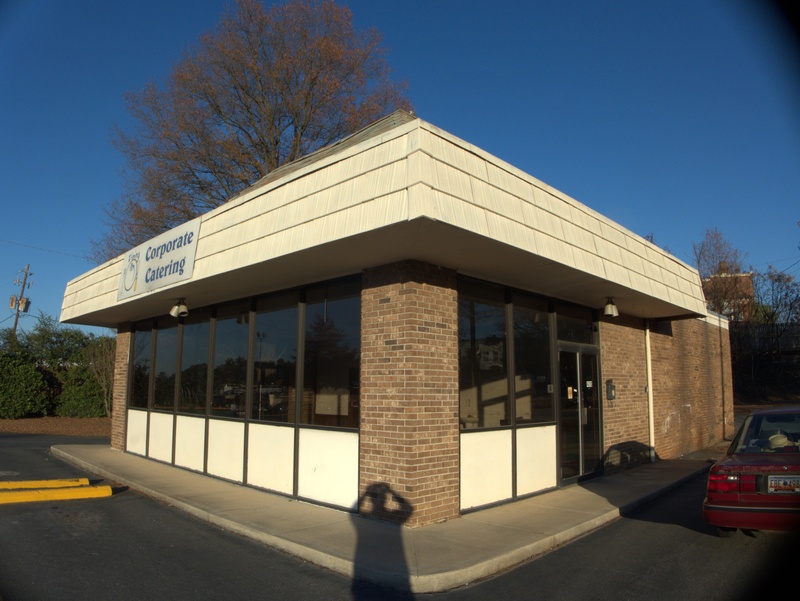 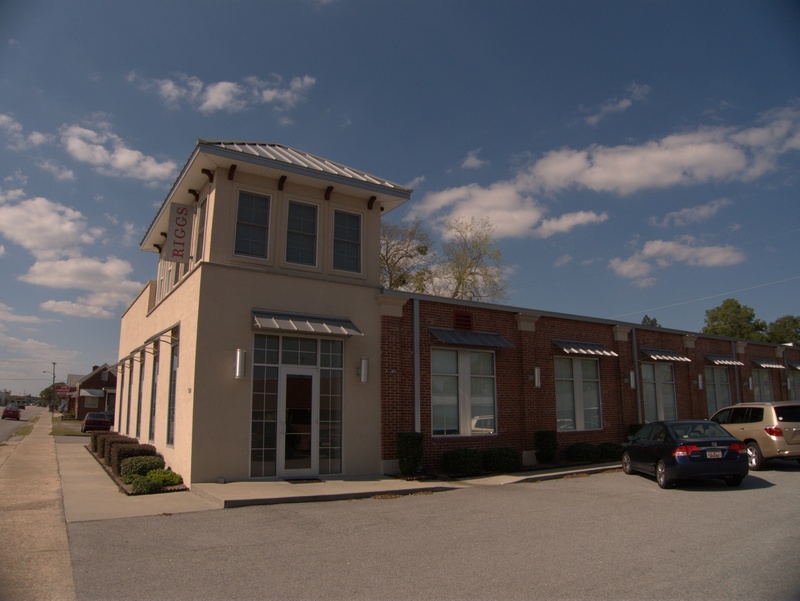 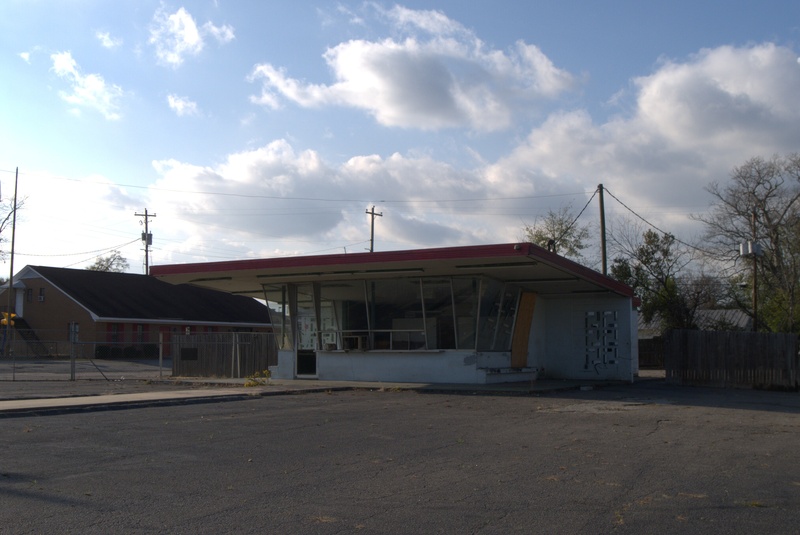 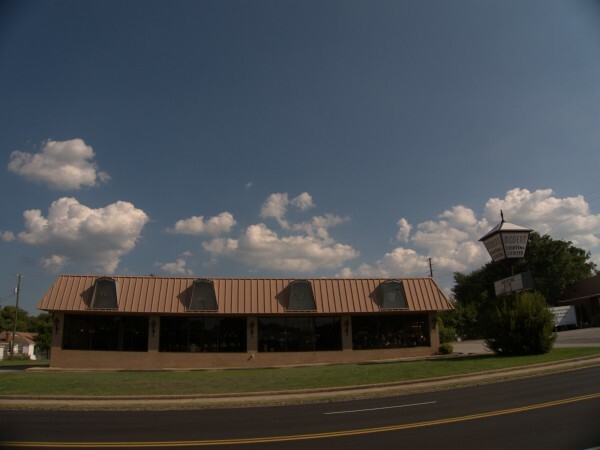 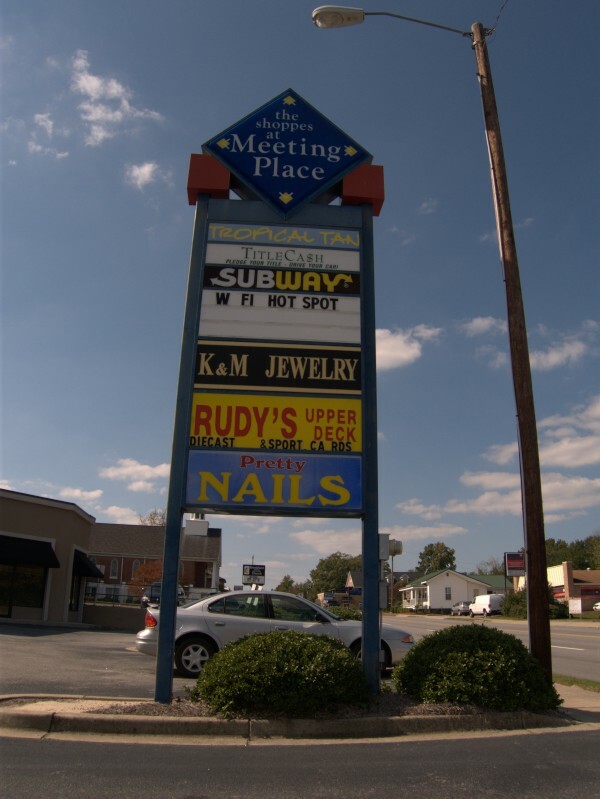 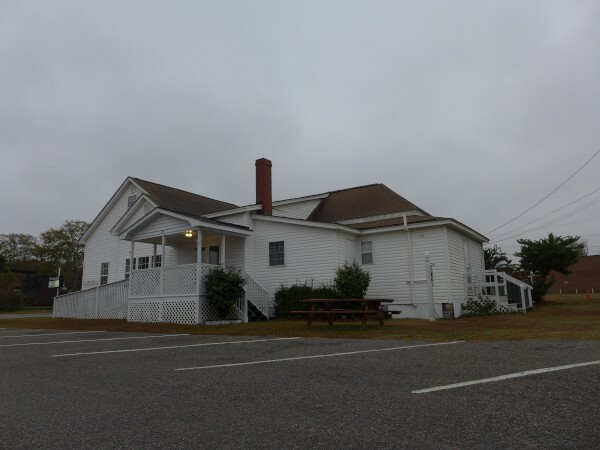 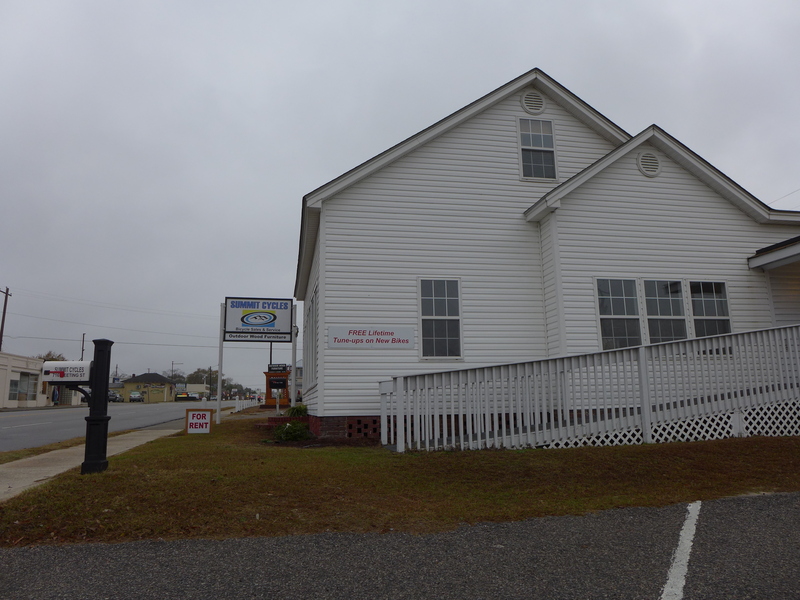 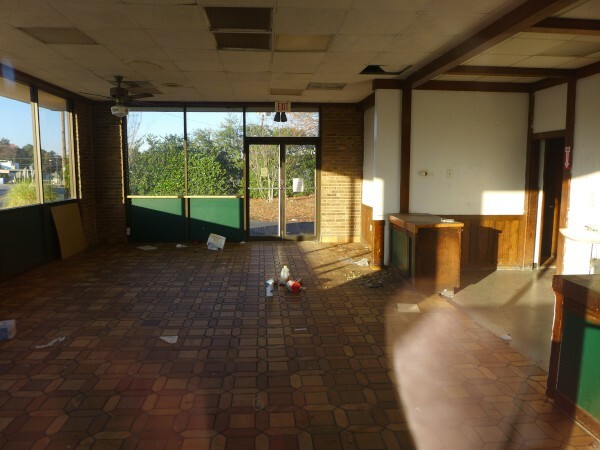 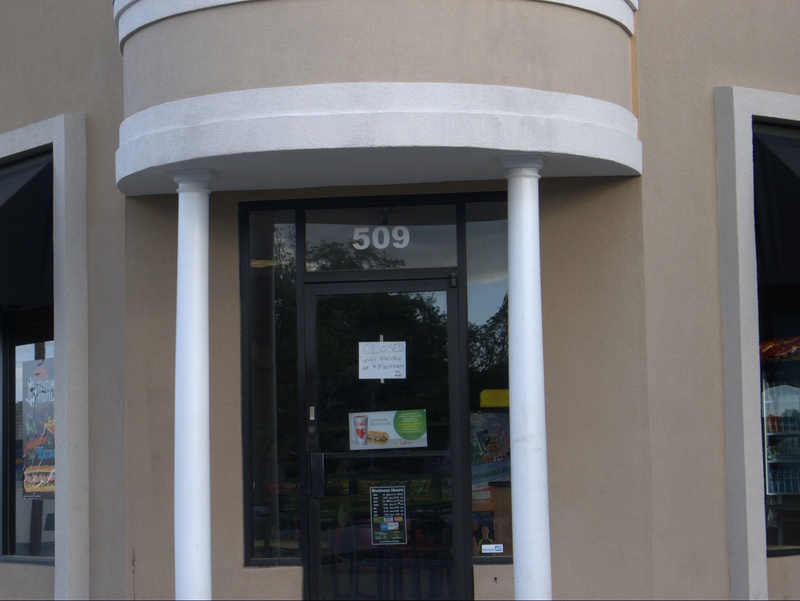 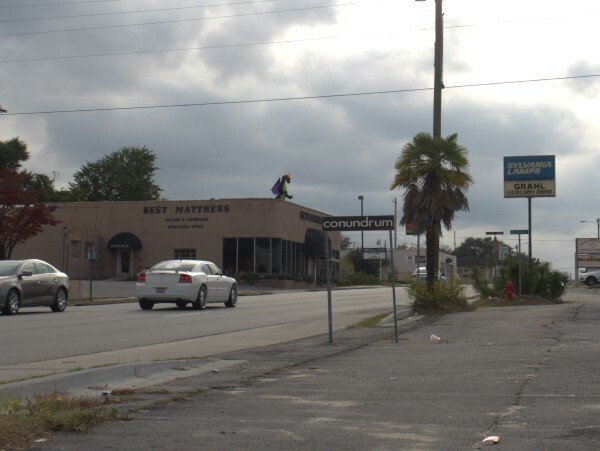 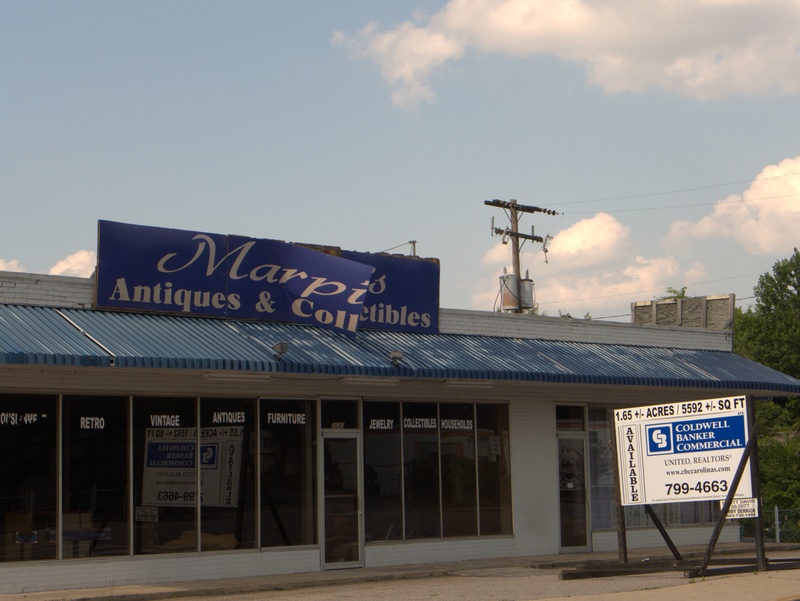 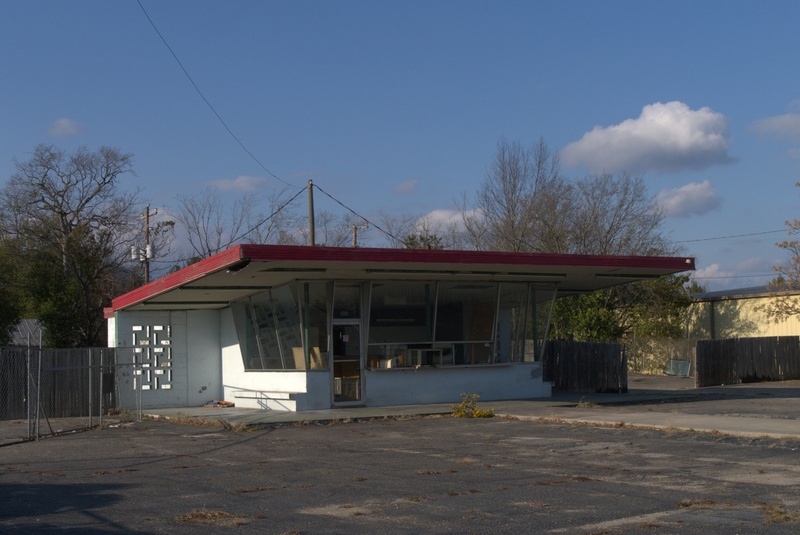 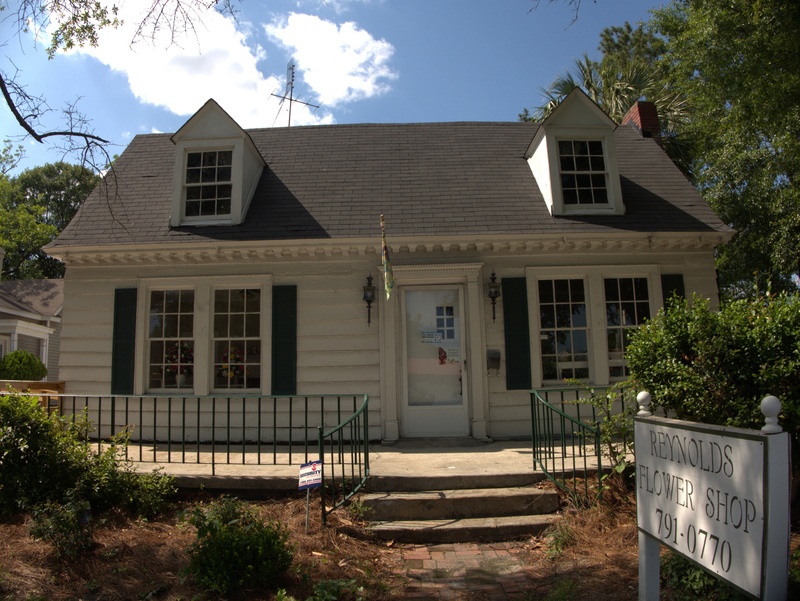 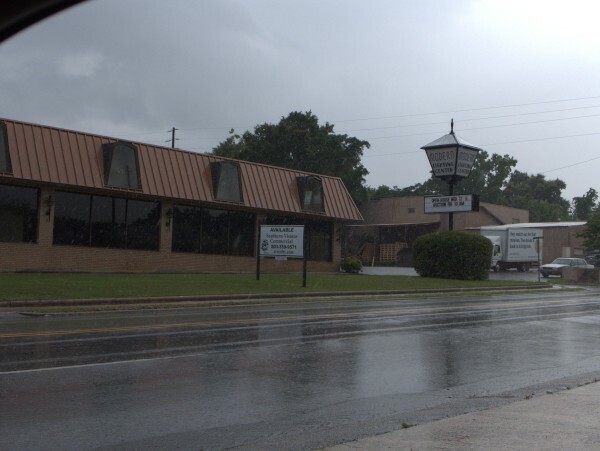 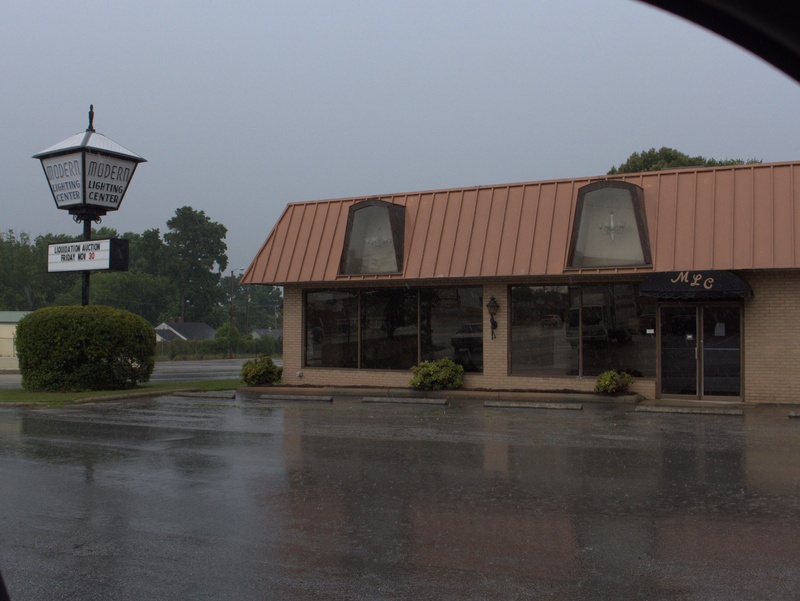 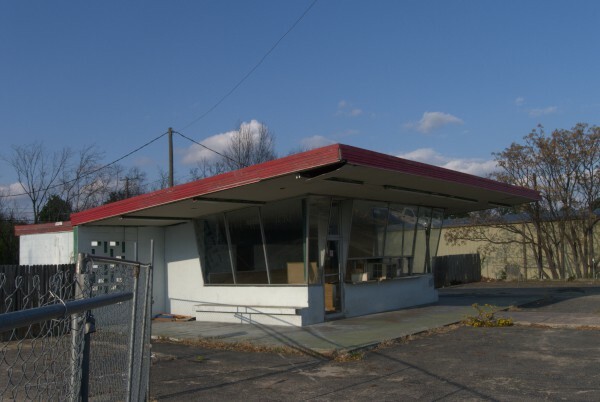 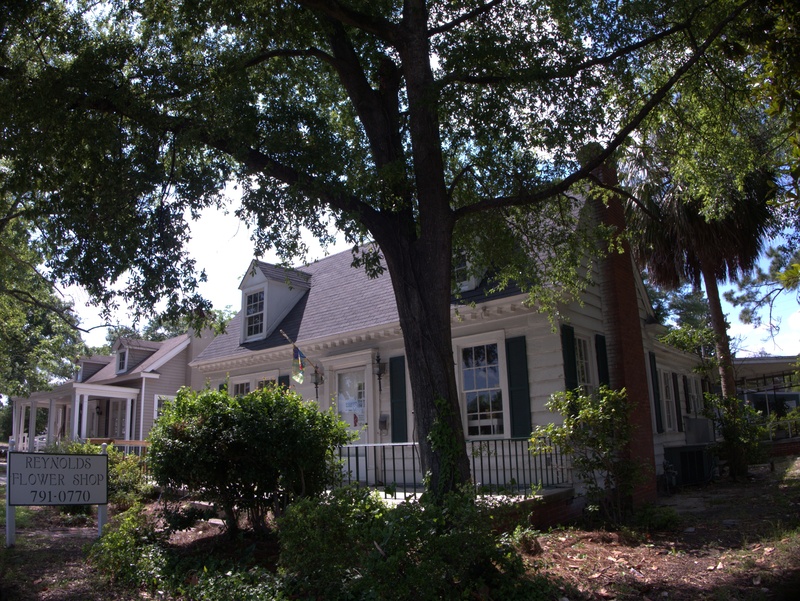 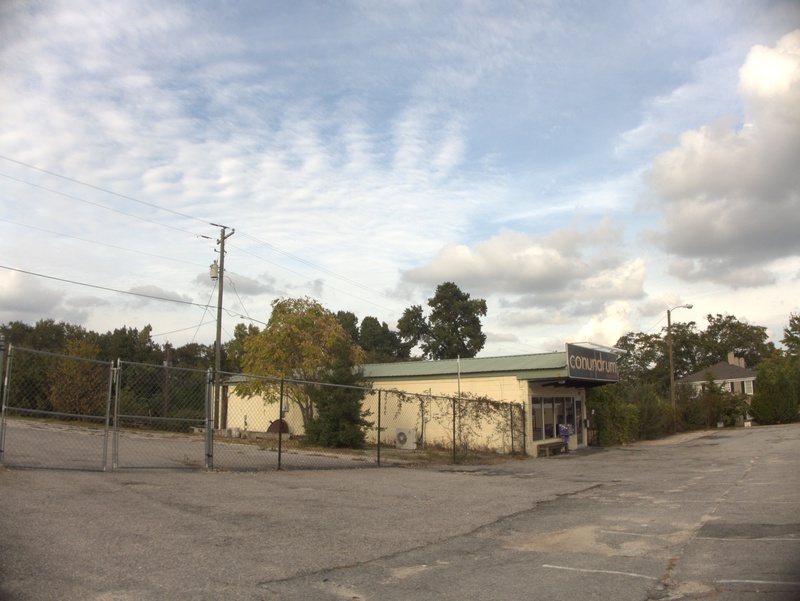 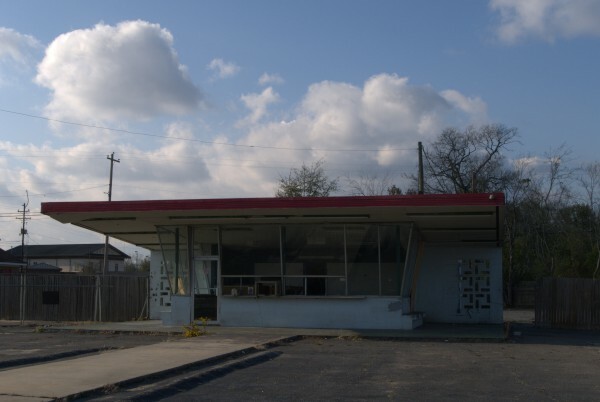 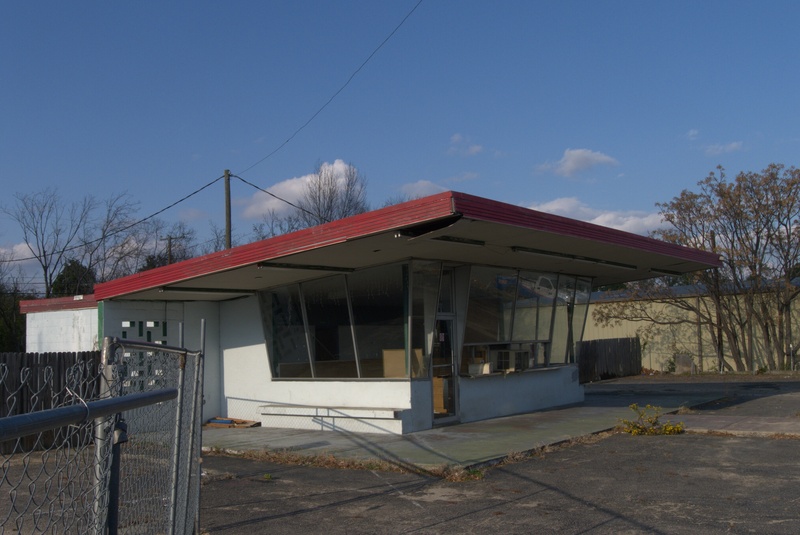 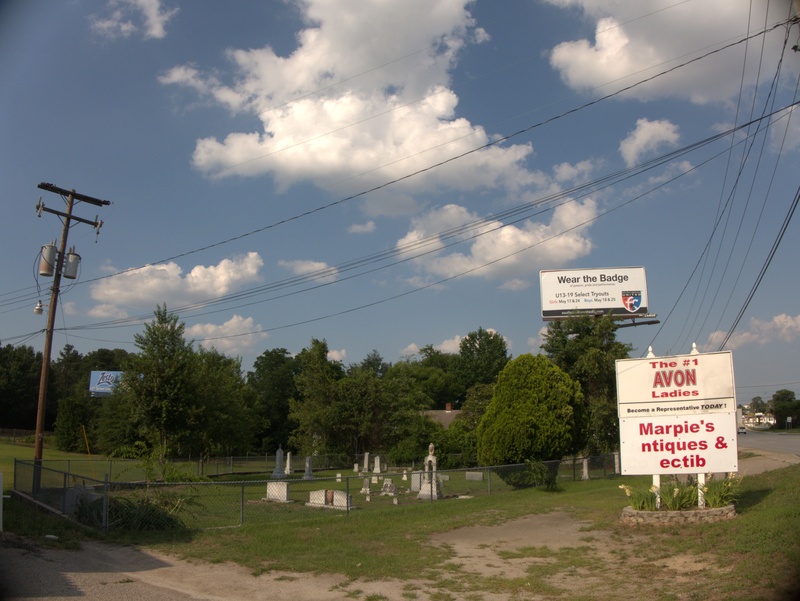 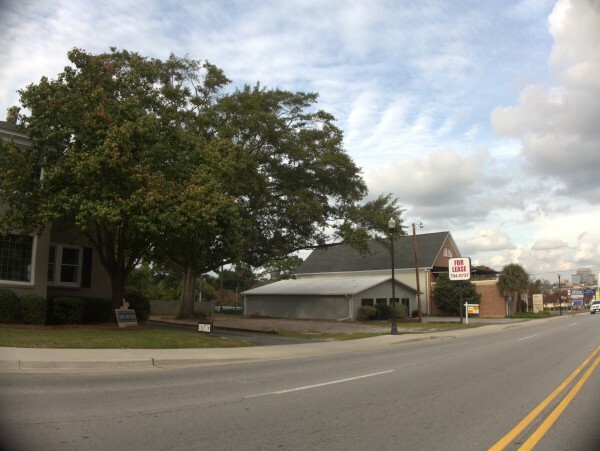 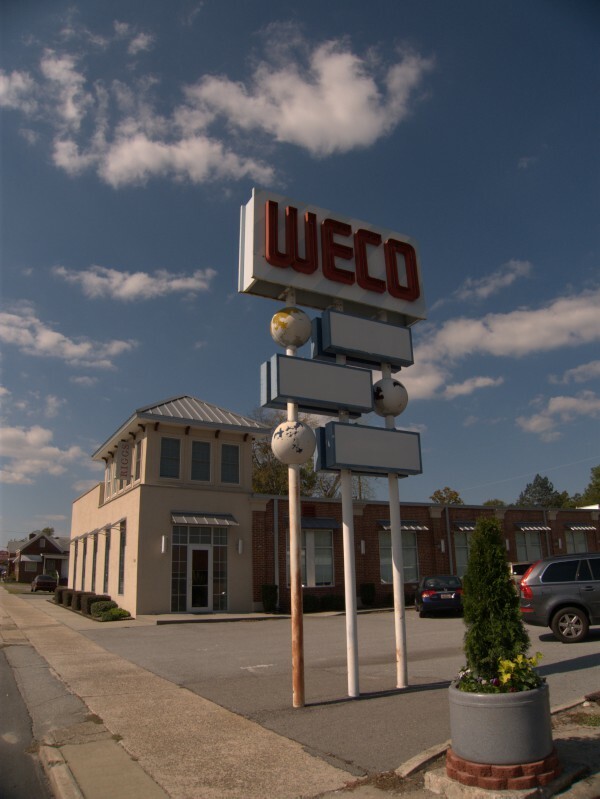 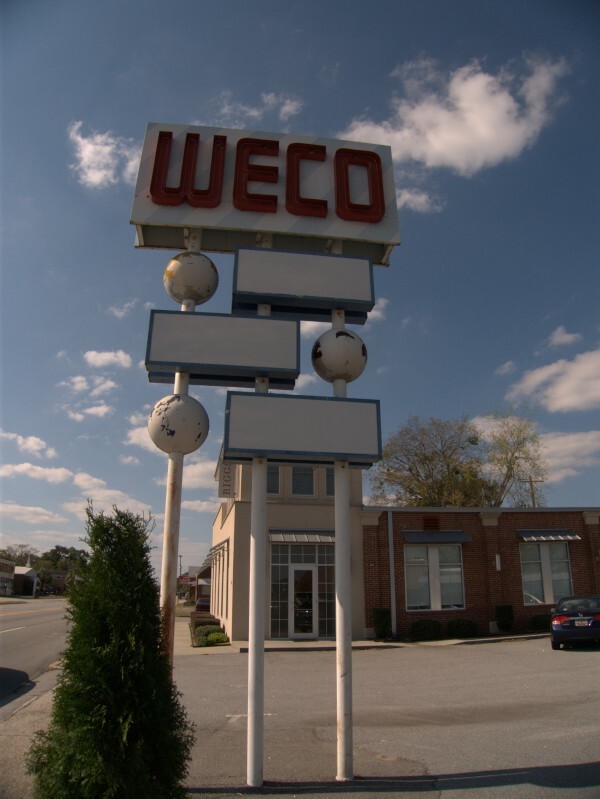 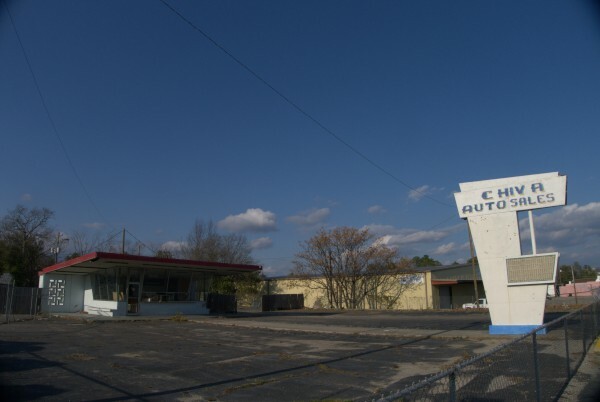 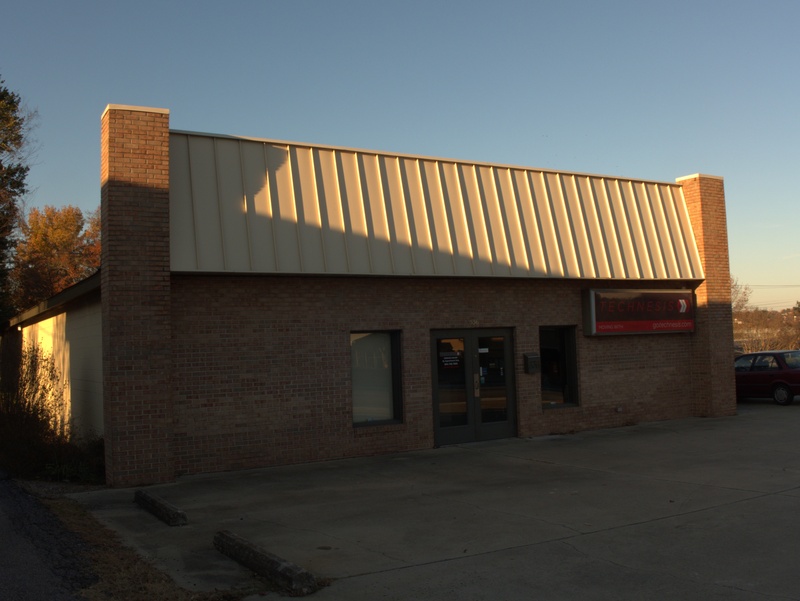 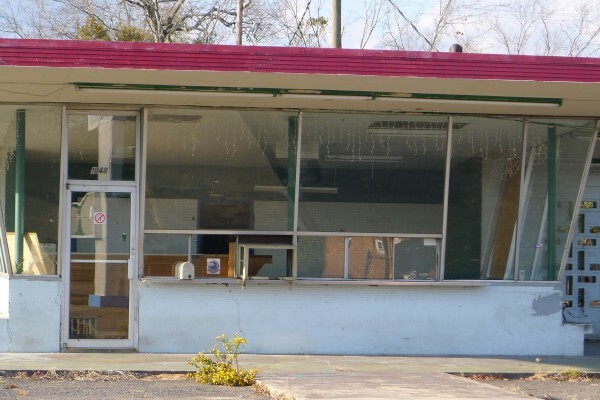 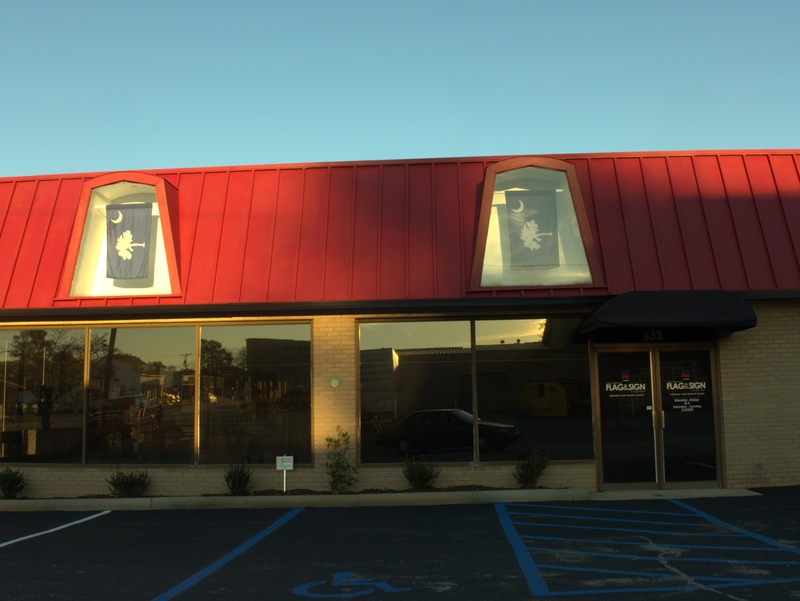 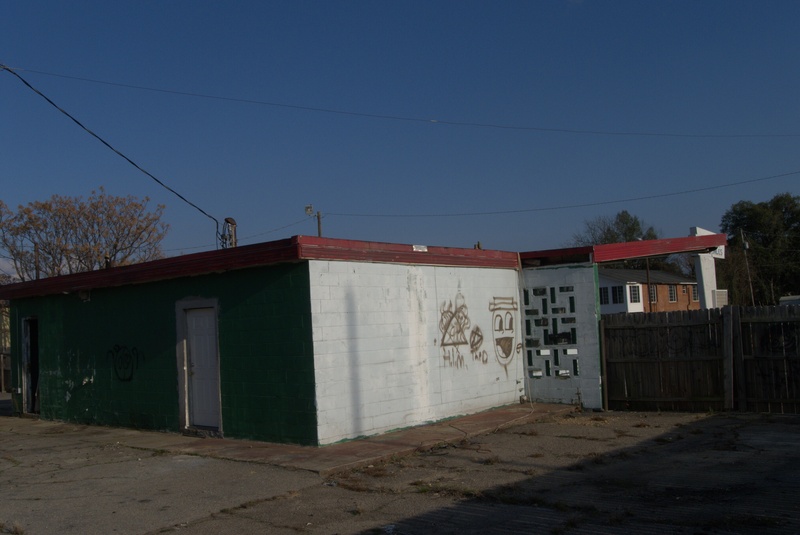 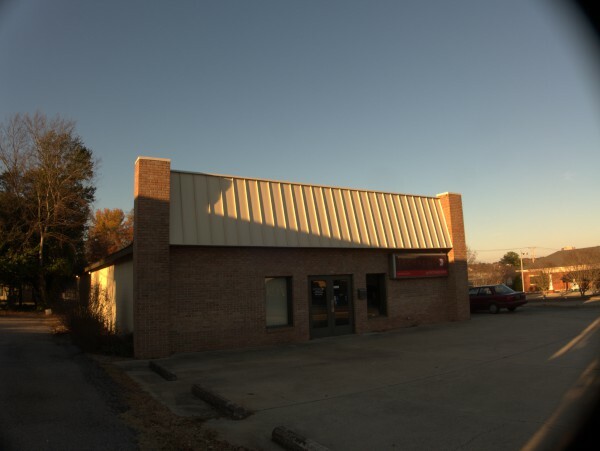 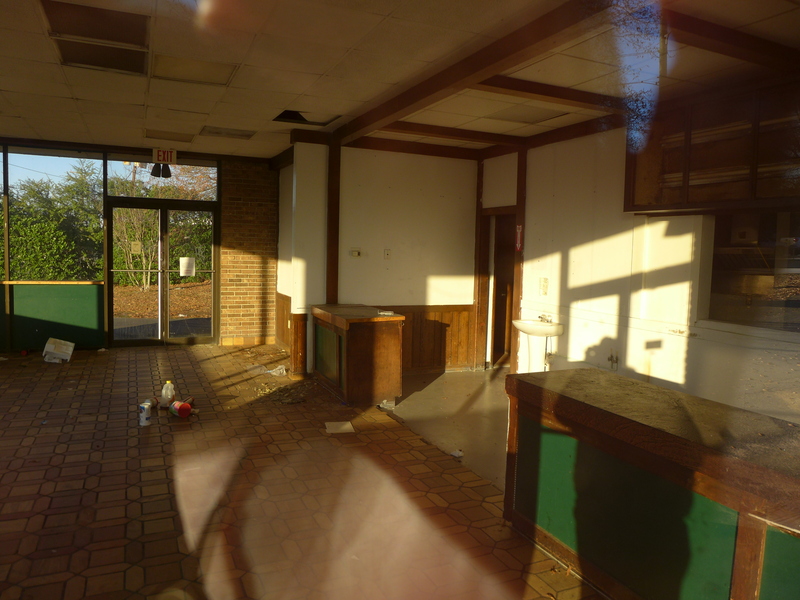 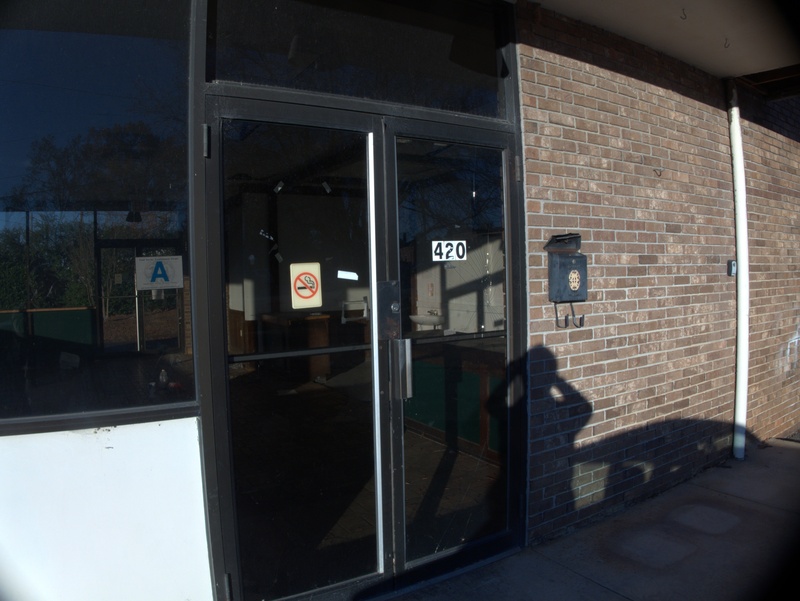 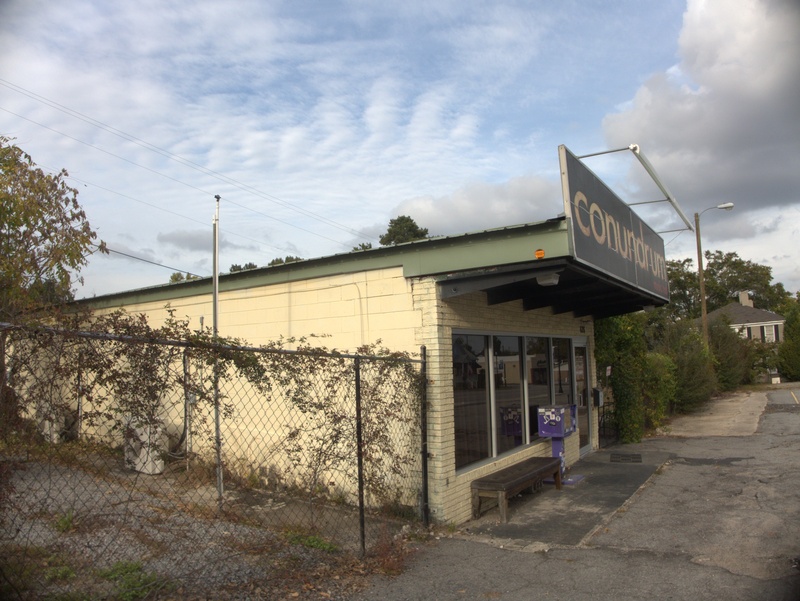 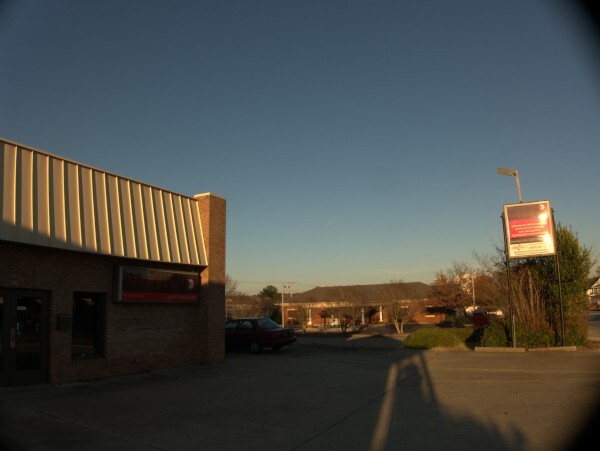 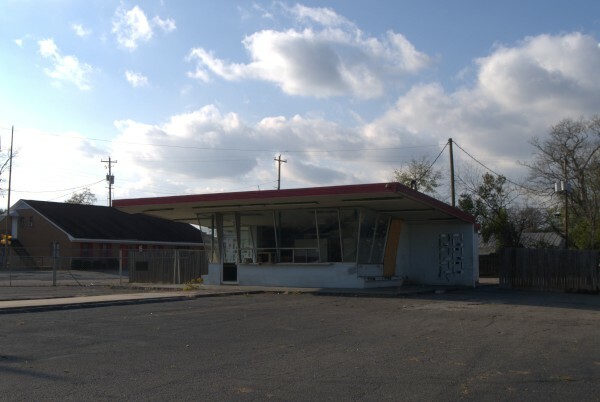 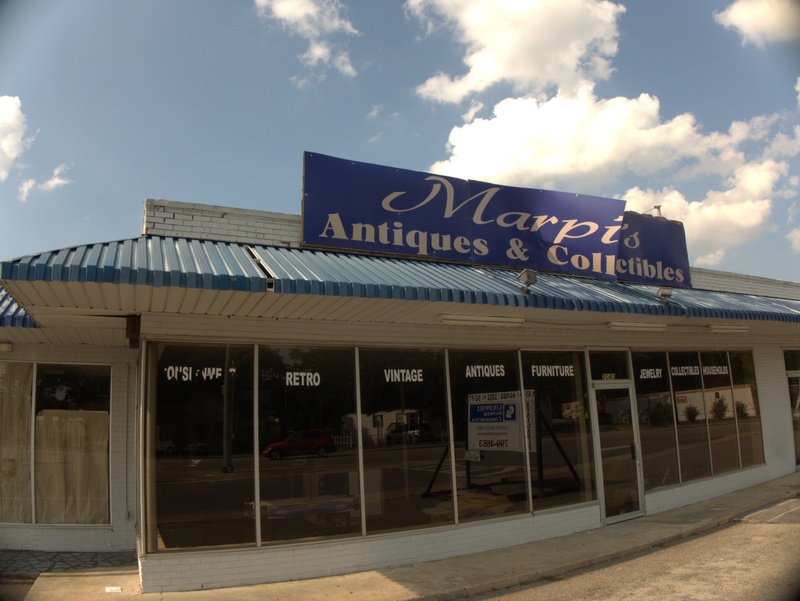 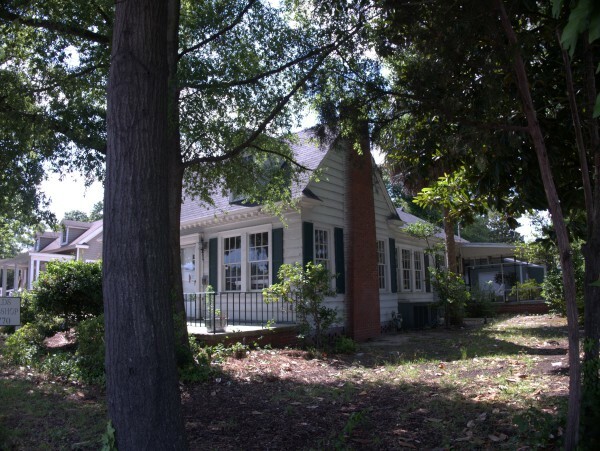 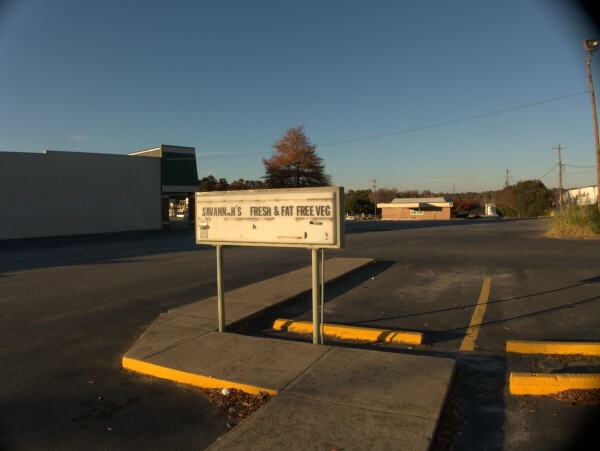 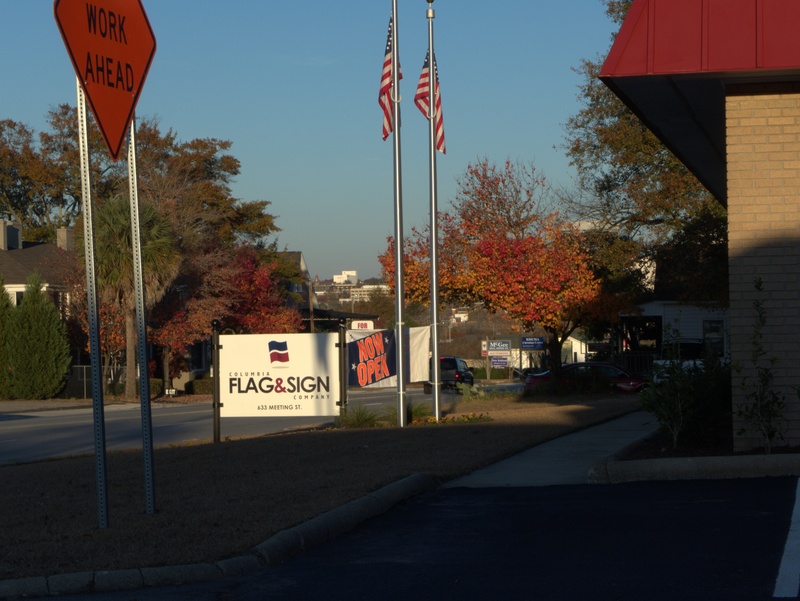 I already did a closing on this building on Meeting Street in West Columbia near Triangle City for when it was Bell's Hamburger Drive-In, but I noticed a while ago that the follow on operation (which was not the immediate follow-on!) 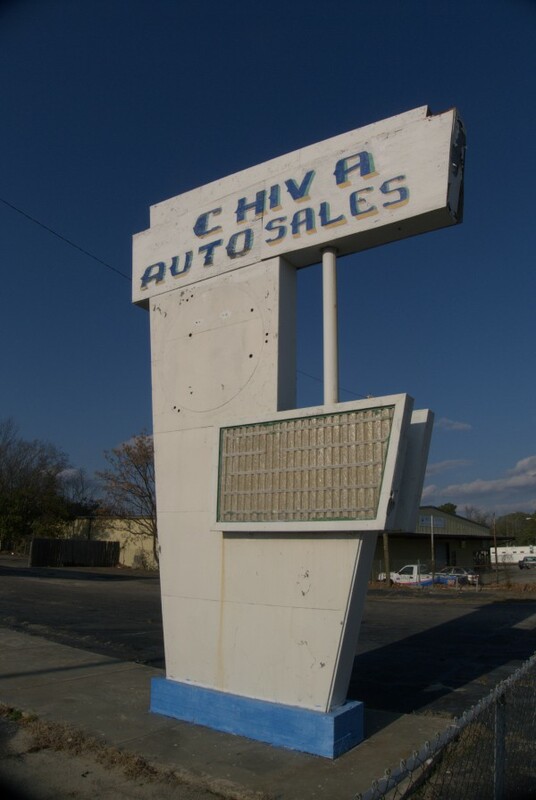 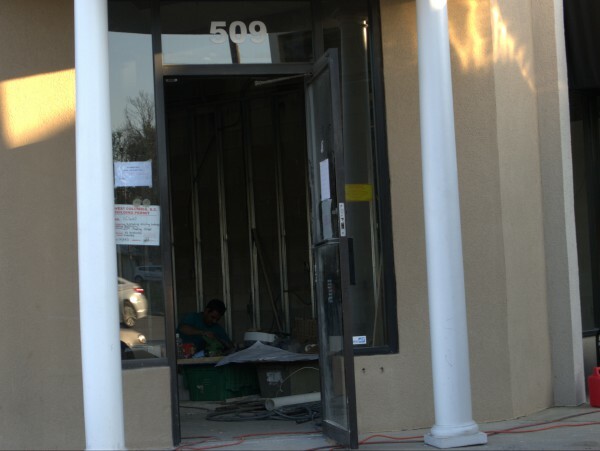 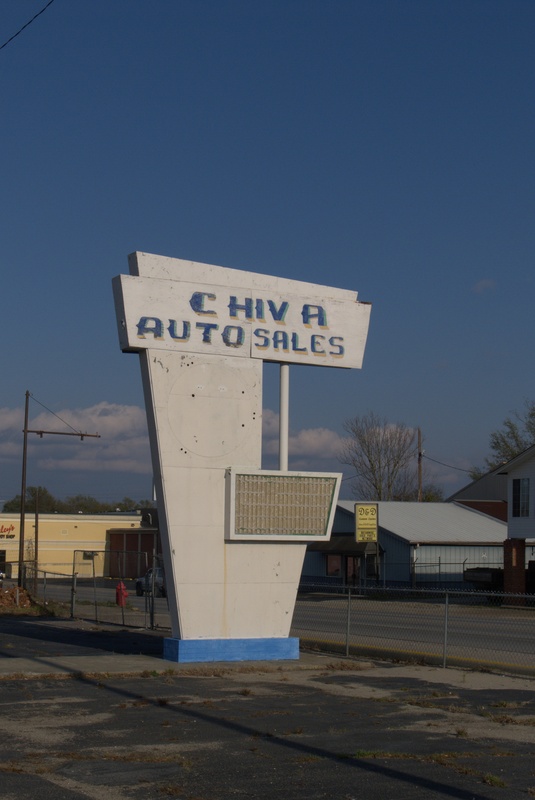 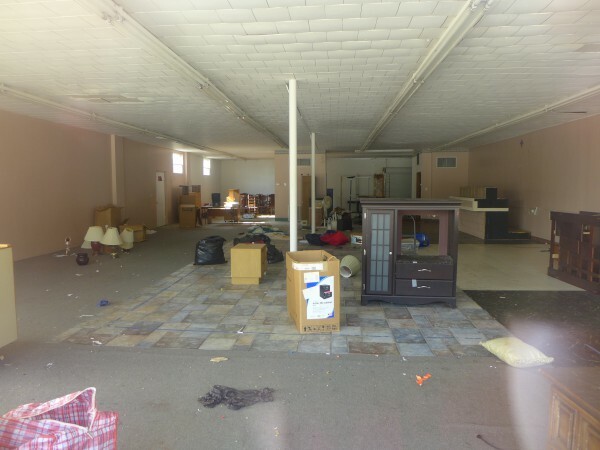 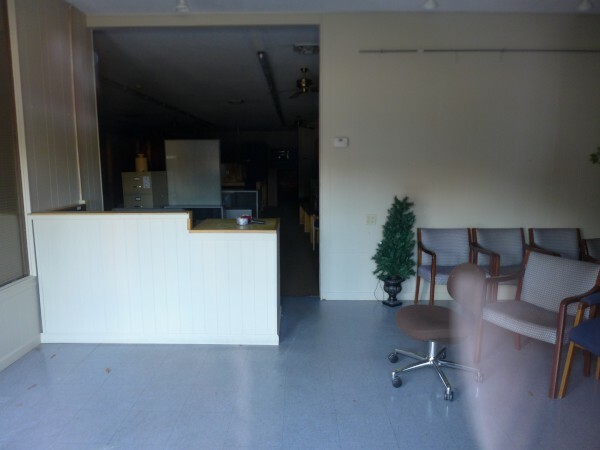 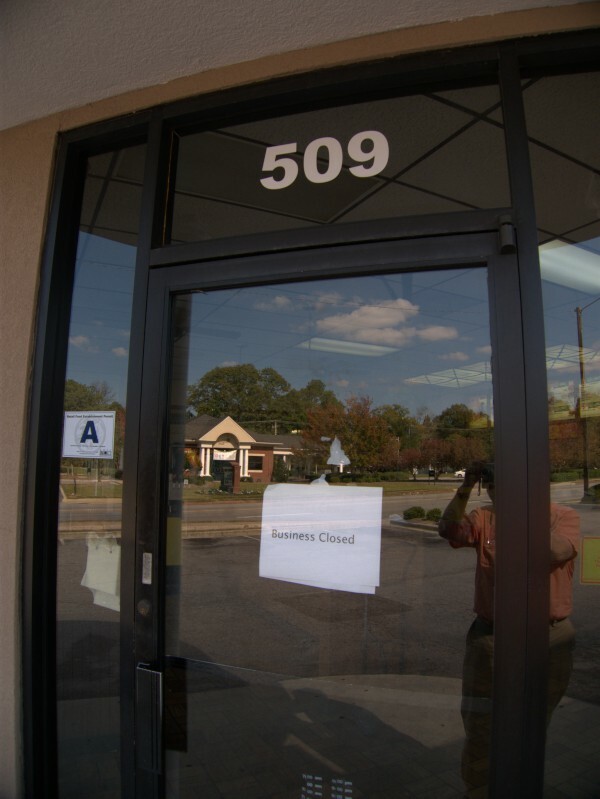 Chiva Auto Sales is now gone as well. 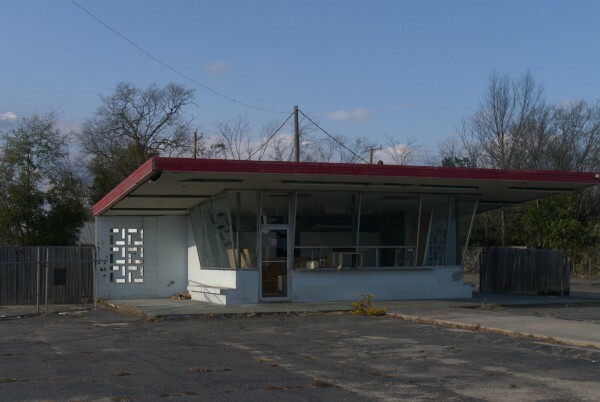 That gave me a chance to get some more shots of this place, without all the cars parked outside, and the guy wondering what the heck I was doing sitting inside. 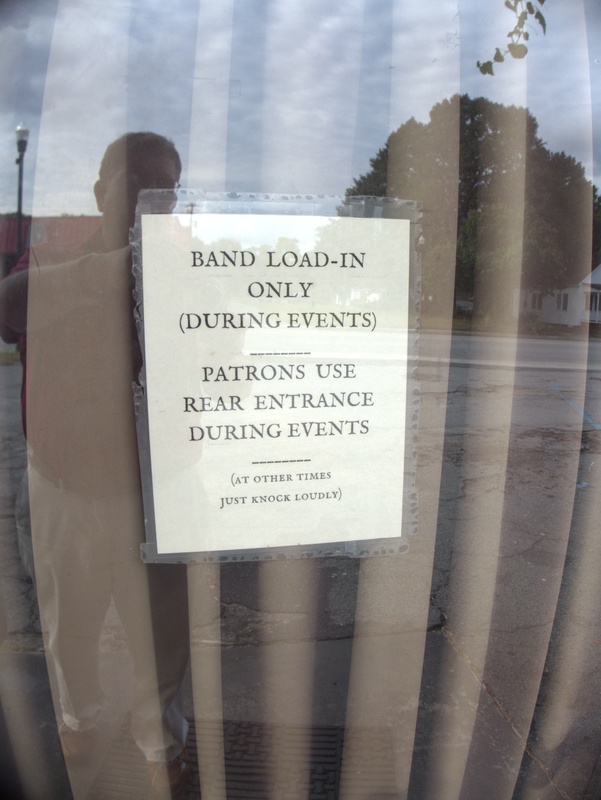 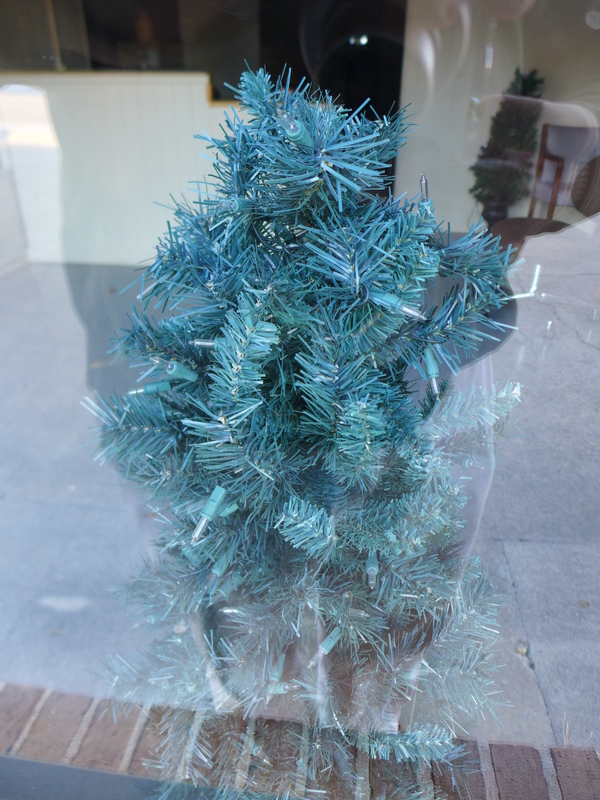 However, the place is tightly fenced off now, so I still can't get any close shots through the building windows. 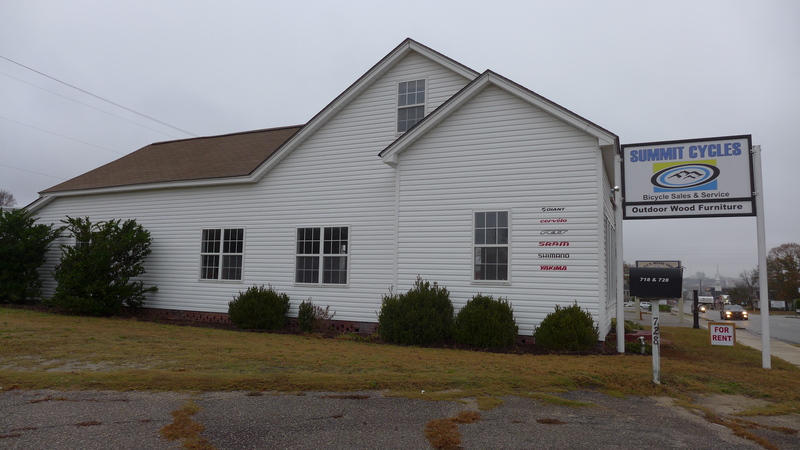 It will be a shame if the next owners tear down the building and marquee which absolutely scream of a certain era, but I can't imagine it being suited to much other than used-car office these days..
UPDATE 3 December 2014 -- This building has now been razed. 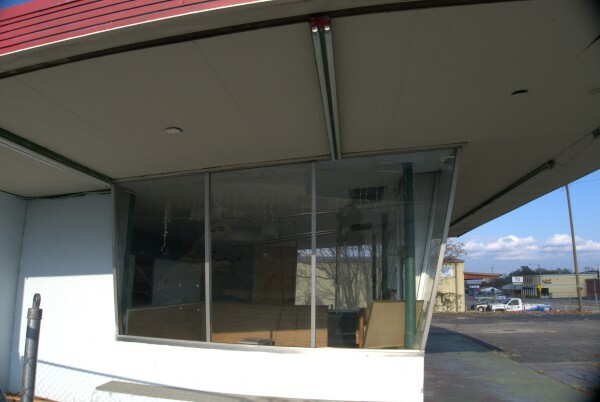 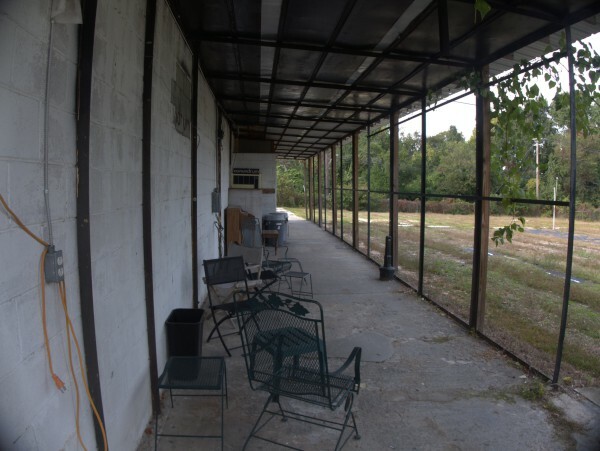 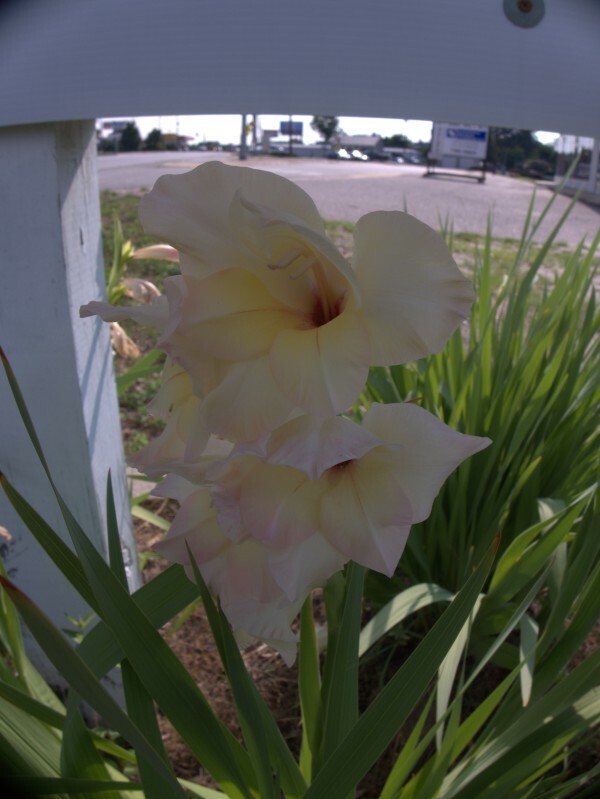 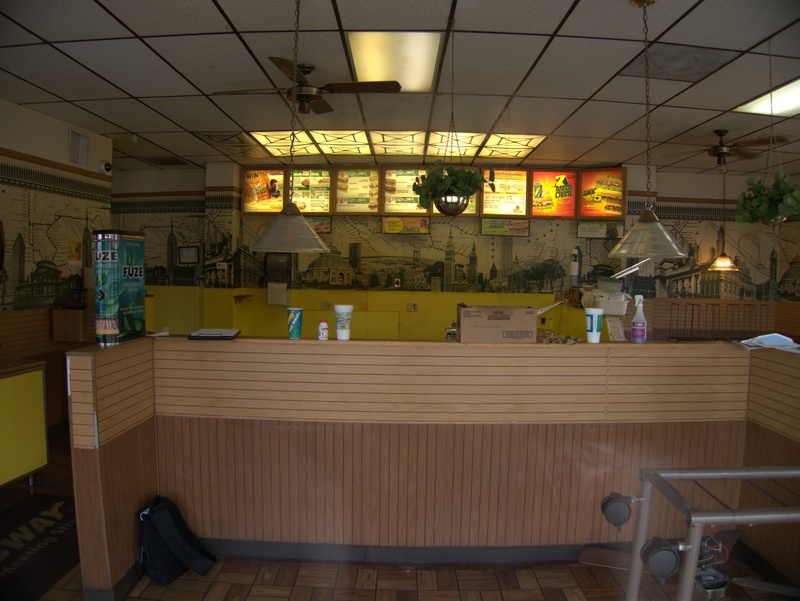 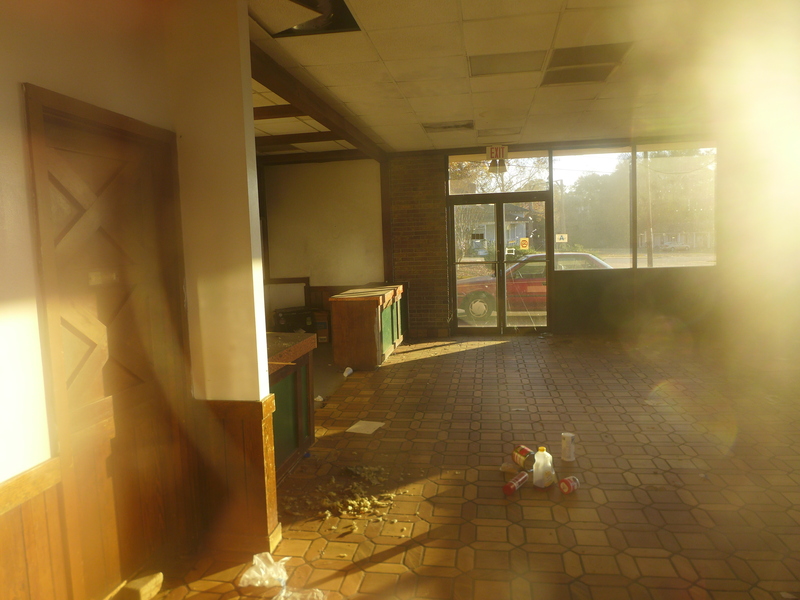 See the pictures at the Bell's Hamburger Drive-In closing. 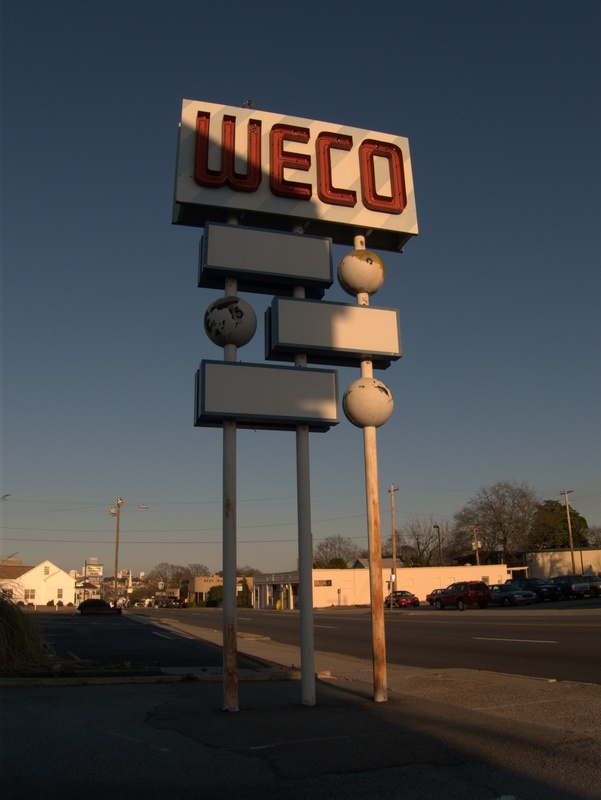 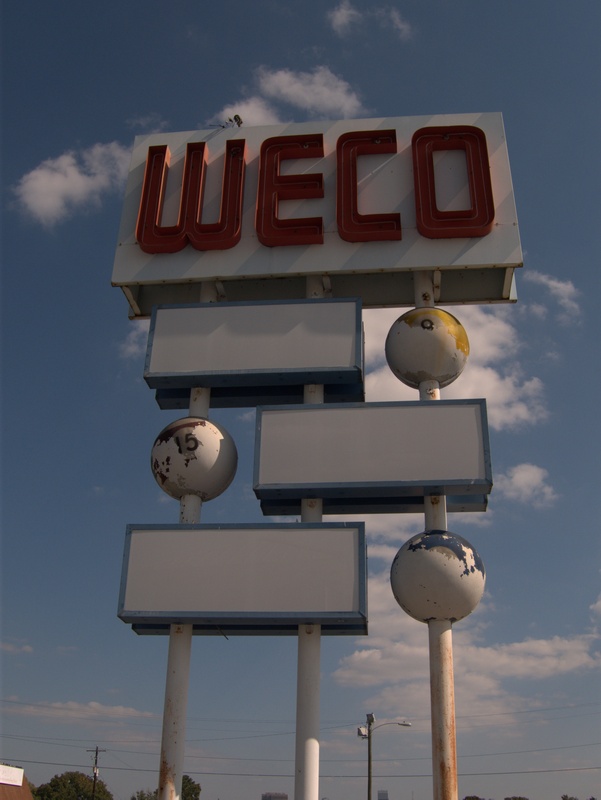 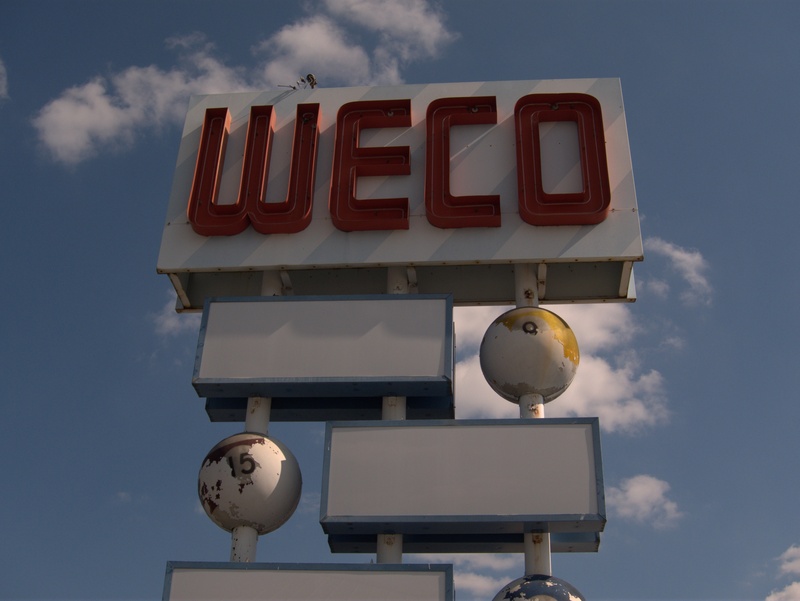 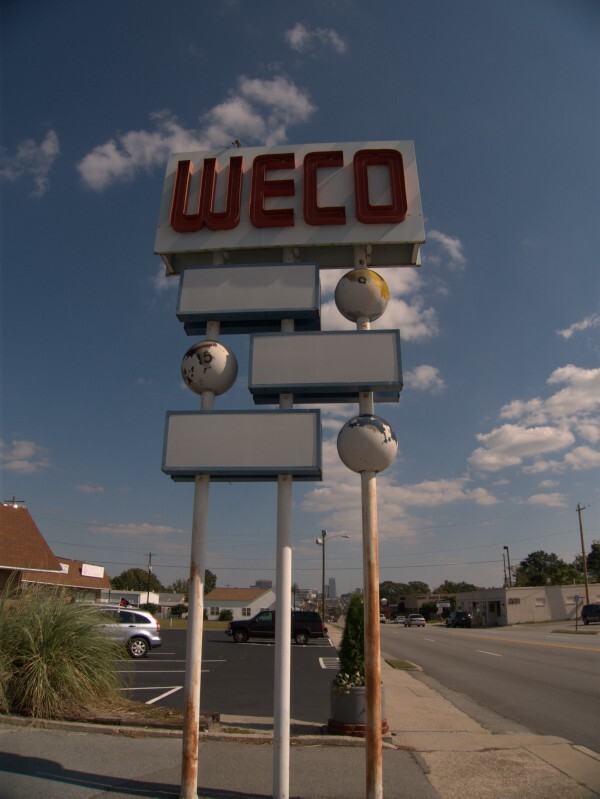 I really like the sign here at the former WECO Billiards. 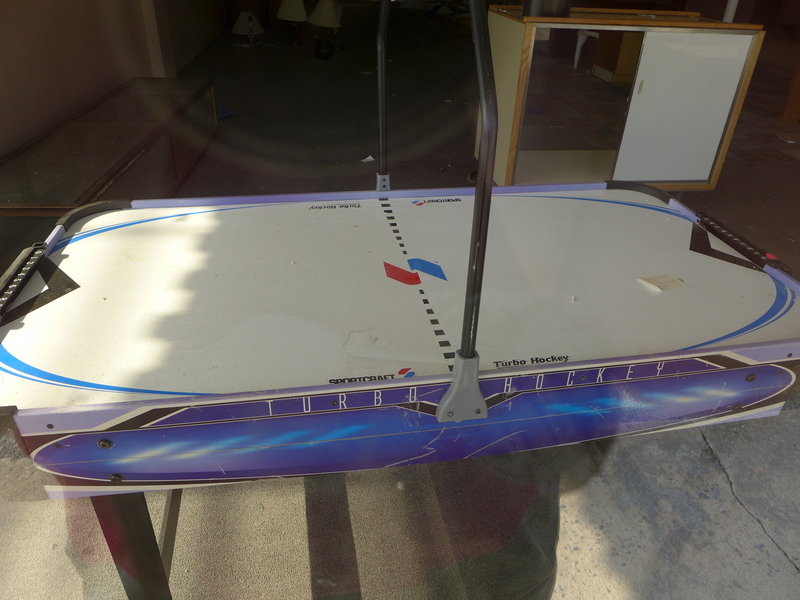 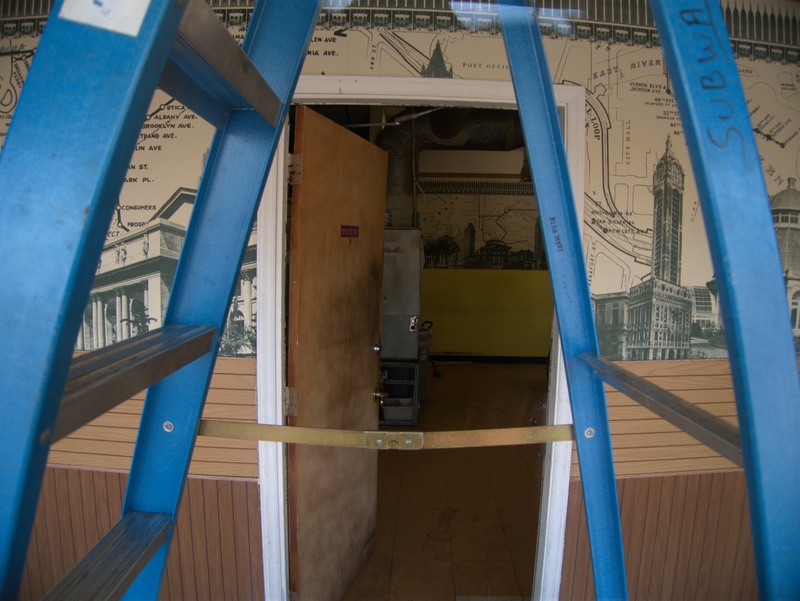 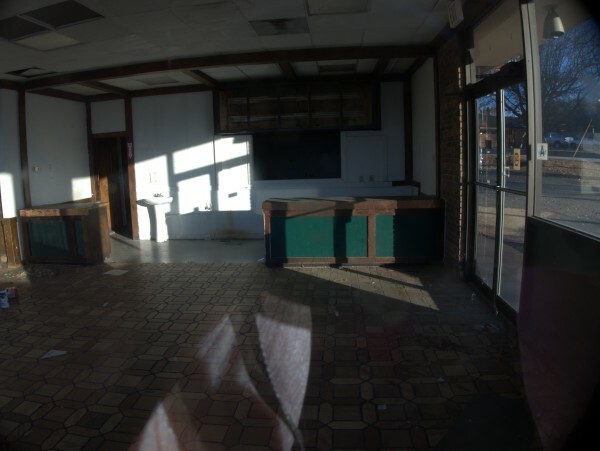 It has a similar aesthetic to Varsity Billiards and Red Wing Rollerway. 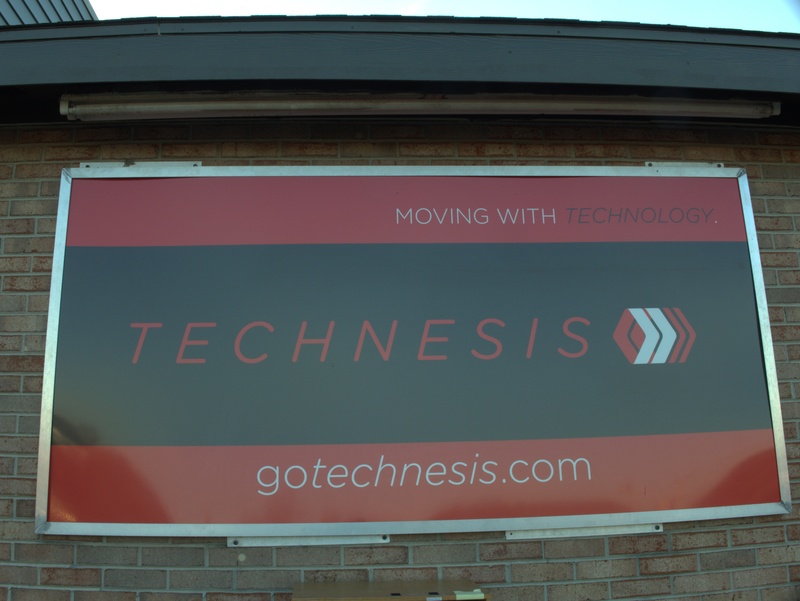 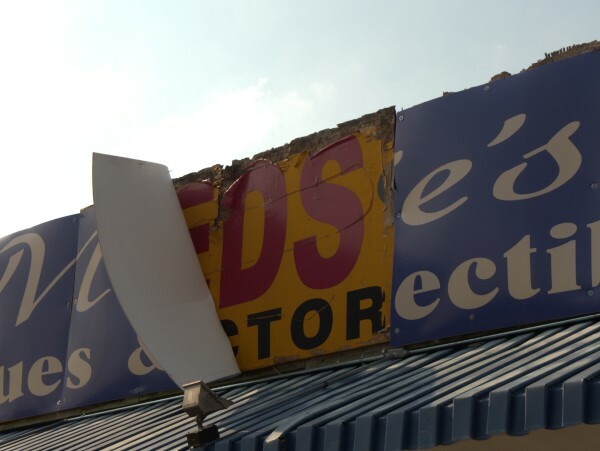 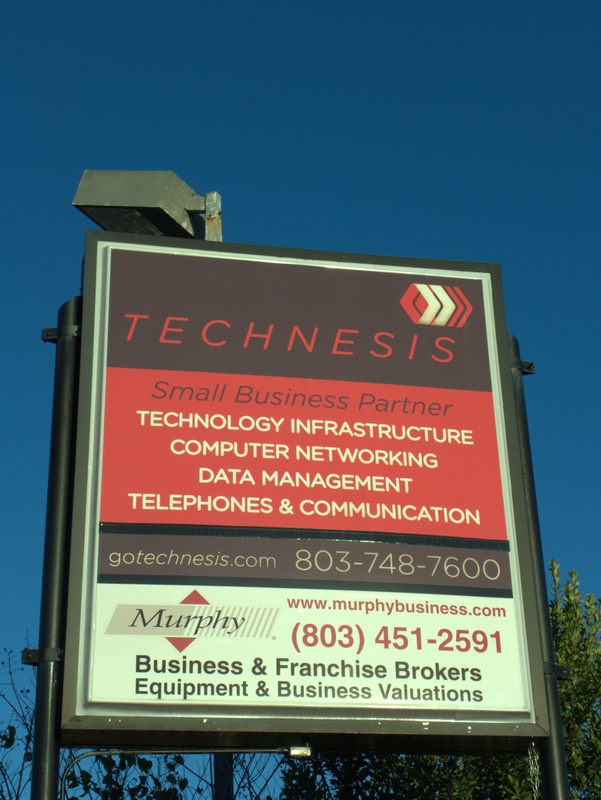 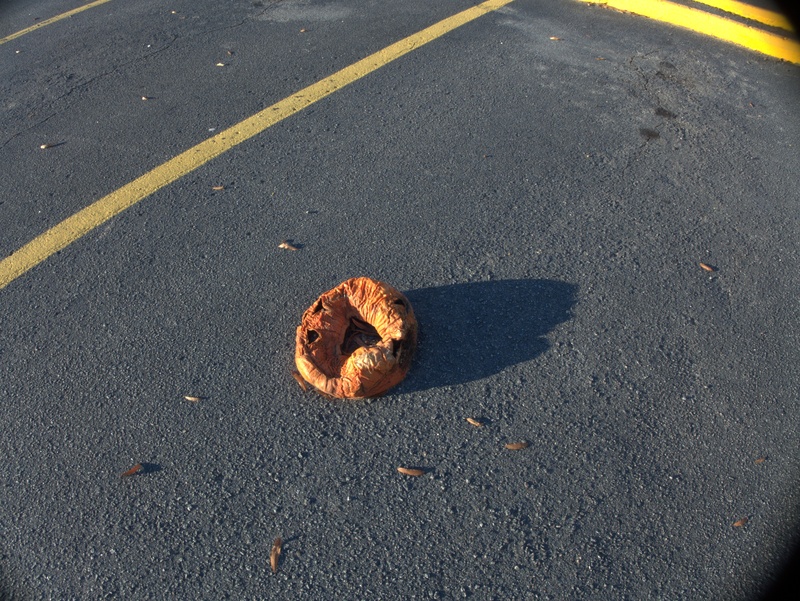 This site for the current owners of the building (note the clever URL) says it was built originally as a grocery. 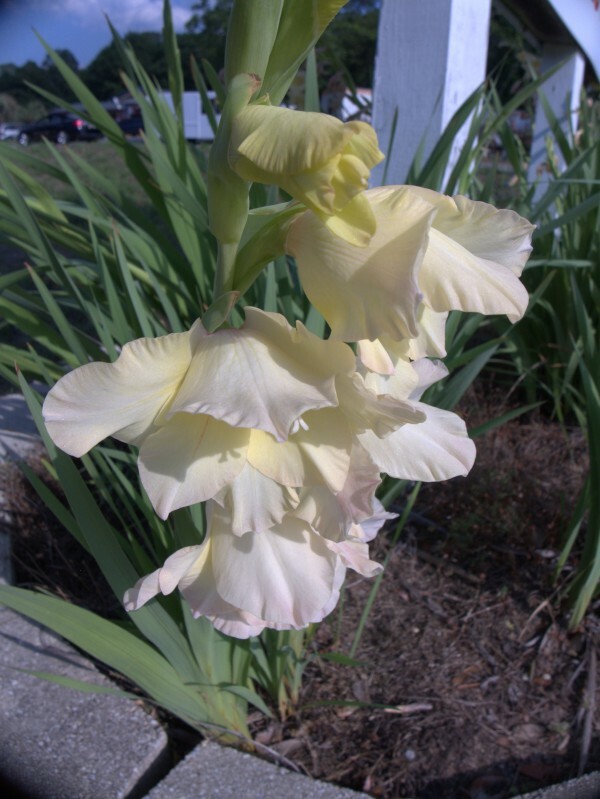 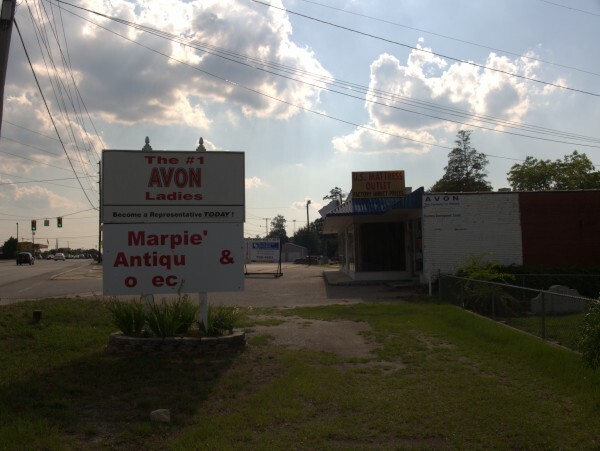 It was still operating as a billiard hall in the February 1997 phonebook, but by the time of the next one I have here at home (February 2007), the listing was gone. 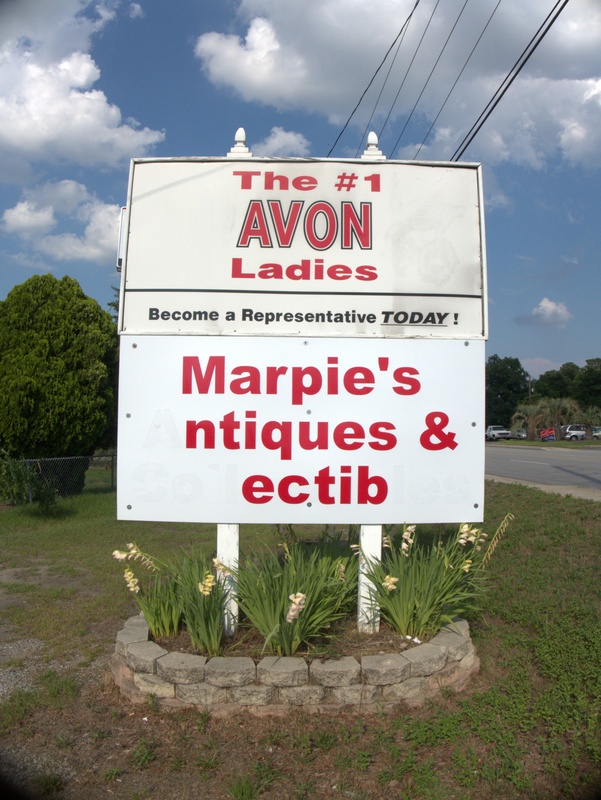 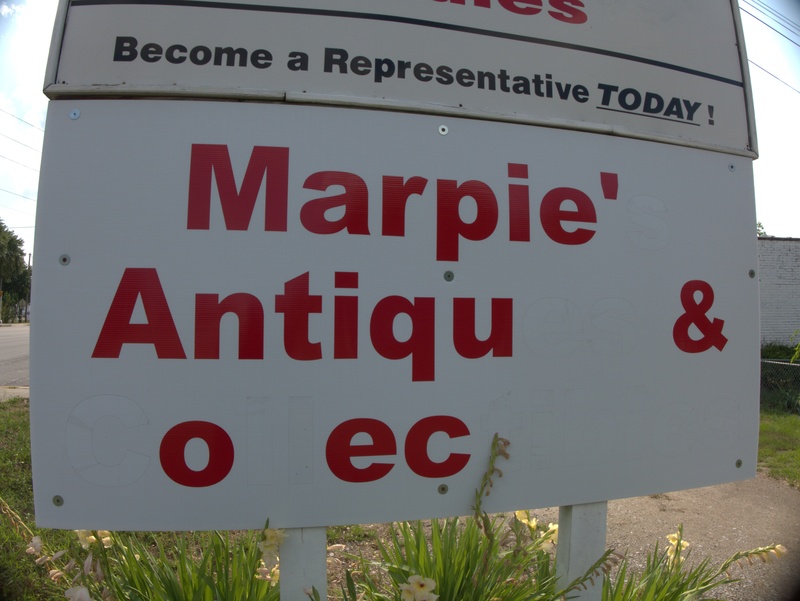 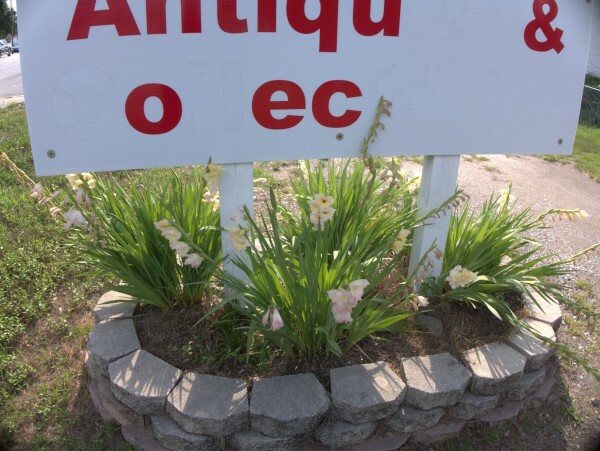 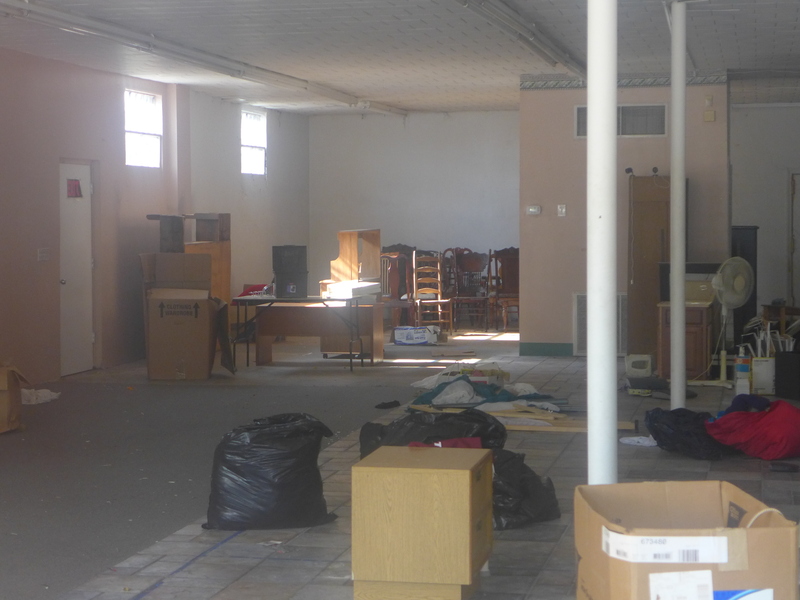 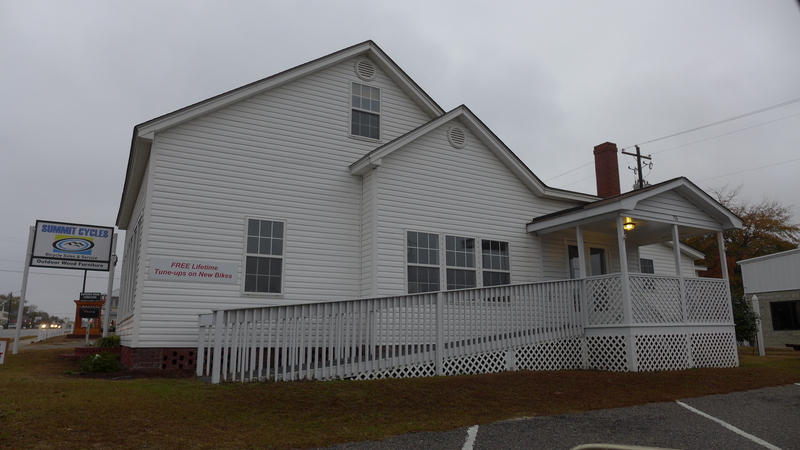 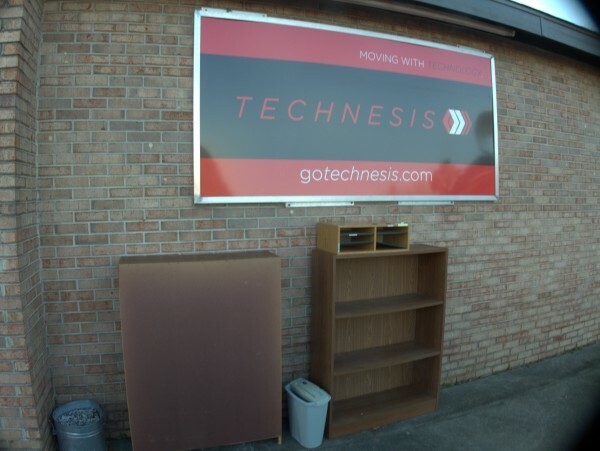 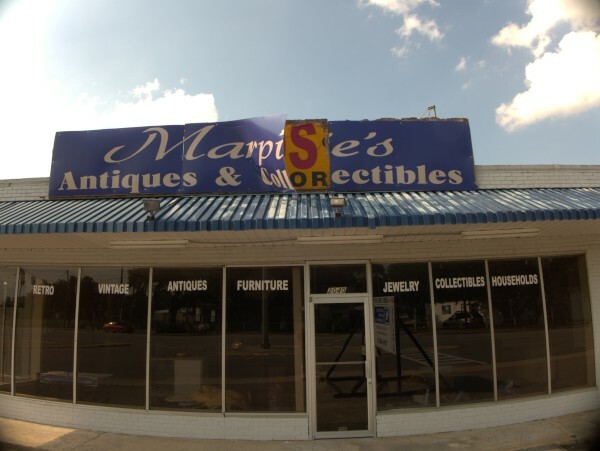 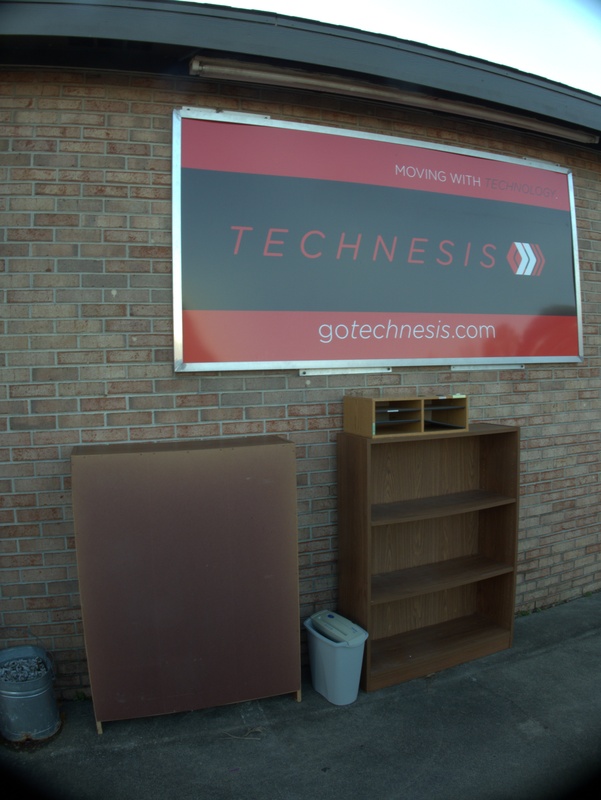 Since then it appears to have been a thrift store, and now houses a number of operations as detailed at the previous link. When I did the closing for Rudy's Upper Deck, commenter Bobby P. wondered how much longer the adjacent Subway would be able to make it. Unfortunately, the answer turns out to be "not long". 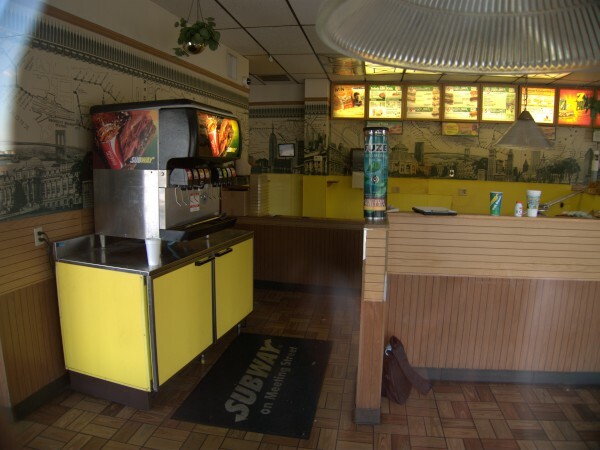 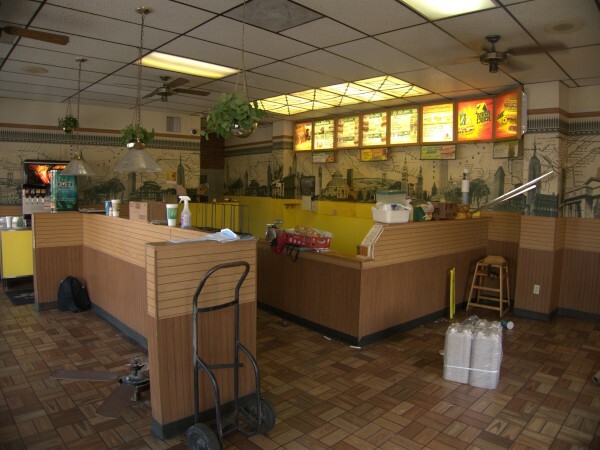 I don't go to Subway too often as the booths and atmosphere don't really suit me, but they do make a decent sandwich. 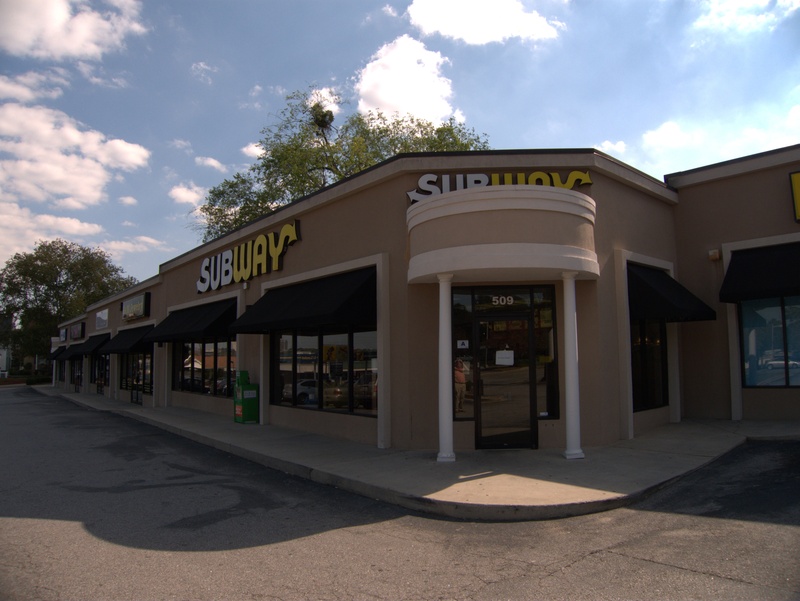 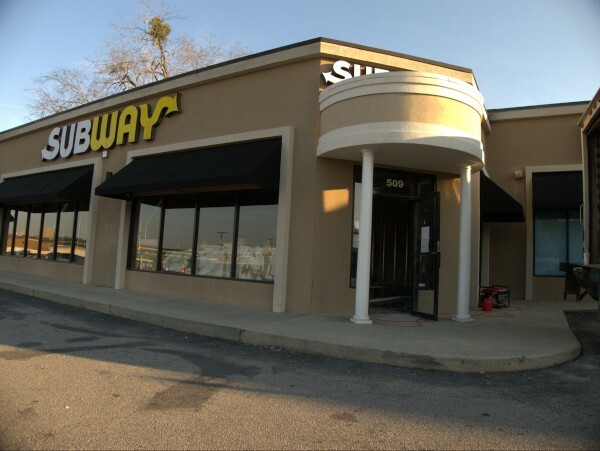 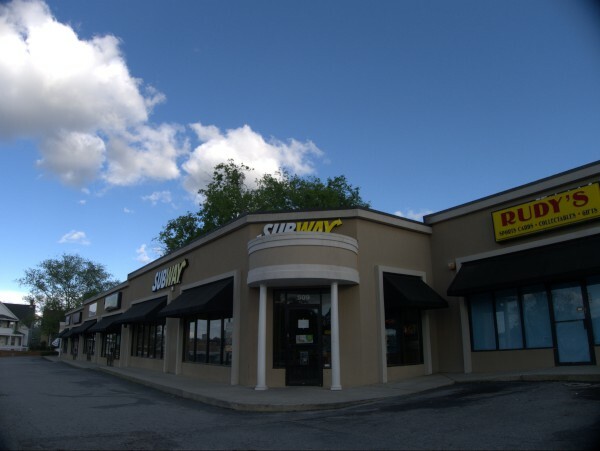 This makes it three vacant storefronts in a row (Subway, Rudy's and Fast Cash Advance) at The Shoppes At Meeting Place, and at least one more non-contiguous one.